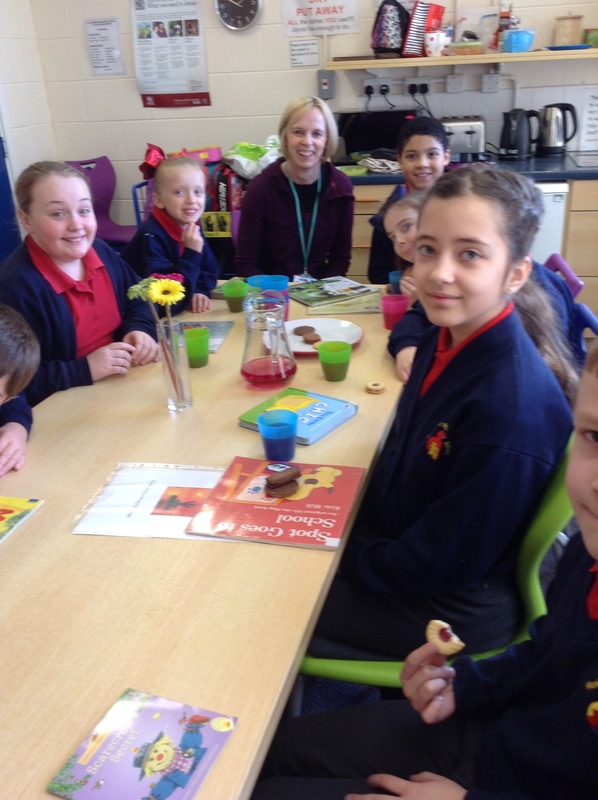 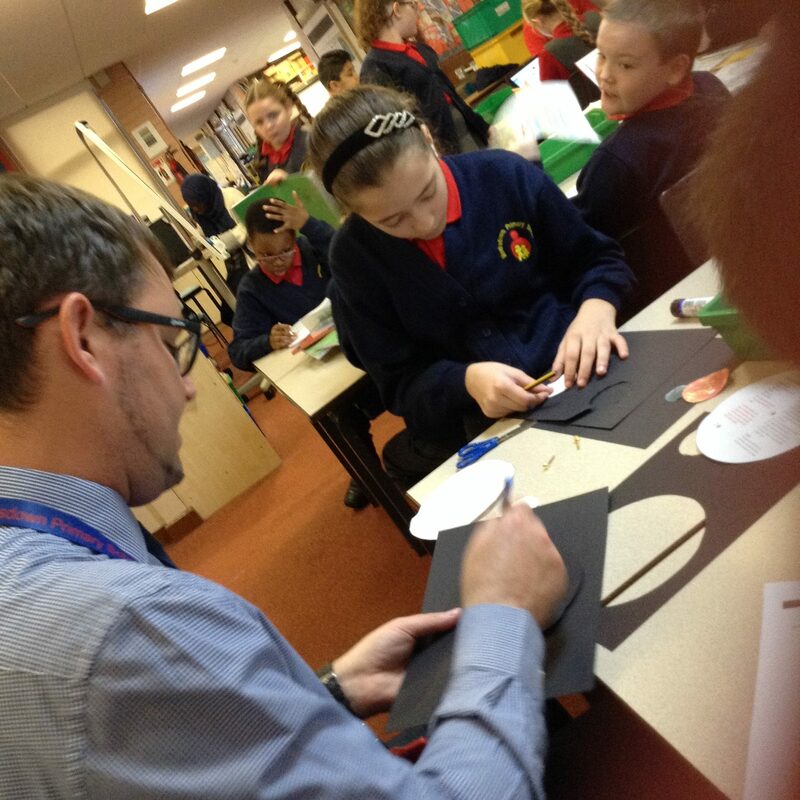 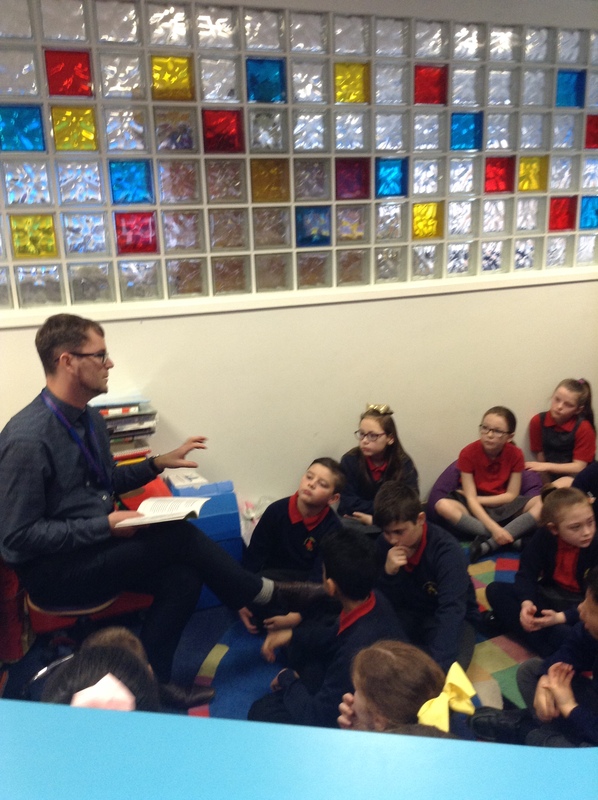 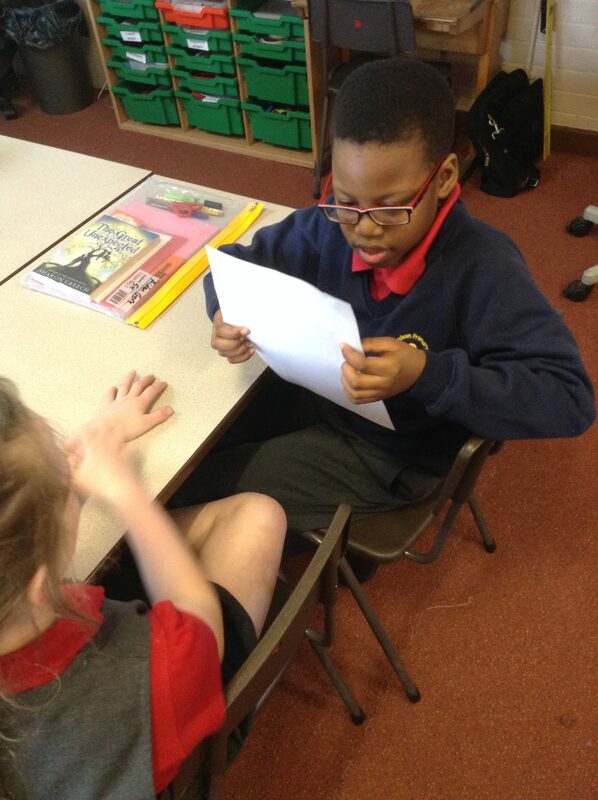 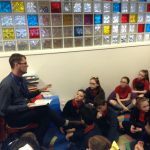 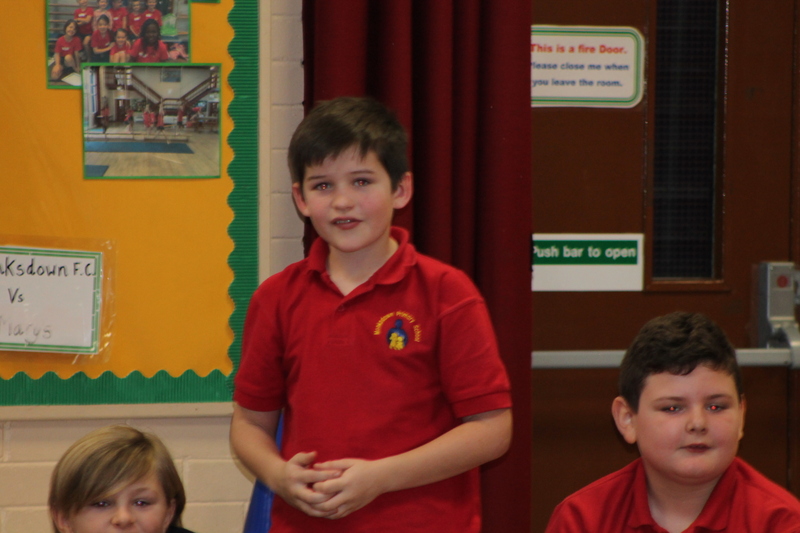 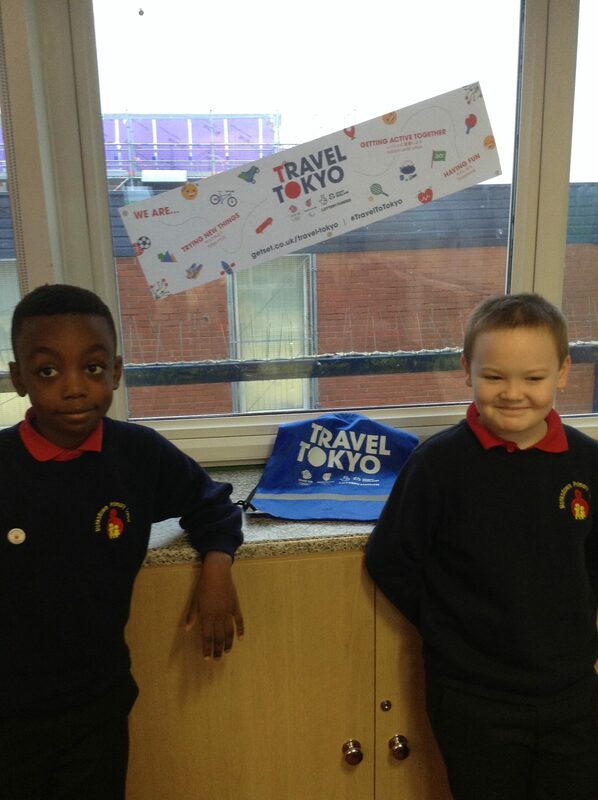 Our class teacher is Mr. Haughey and our teaching assistant is Mrs. Mbengue. 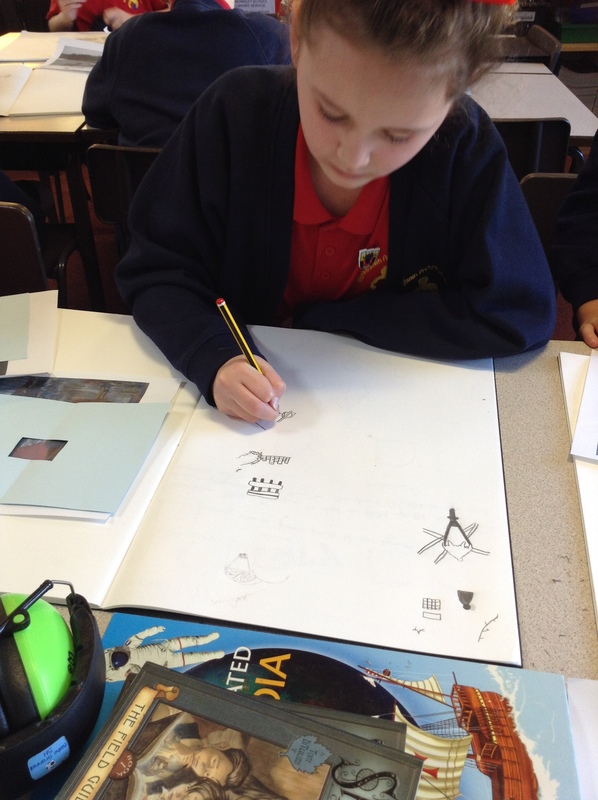 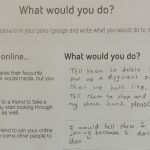 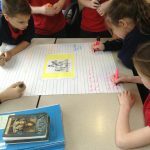 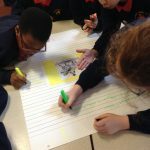 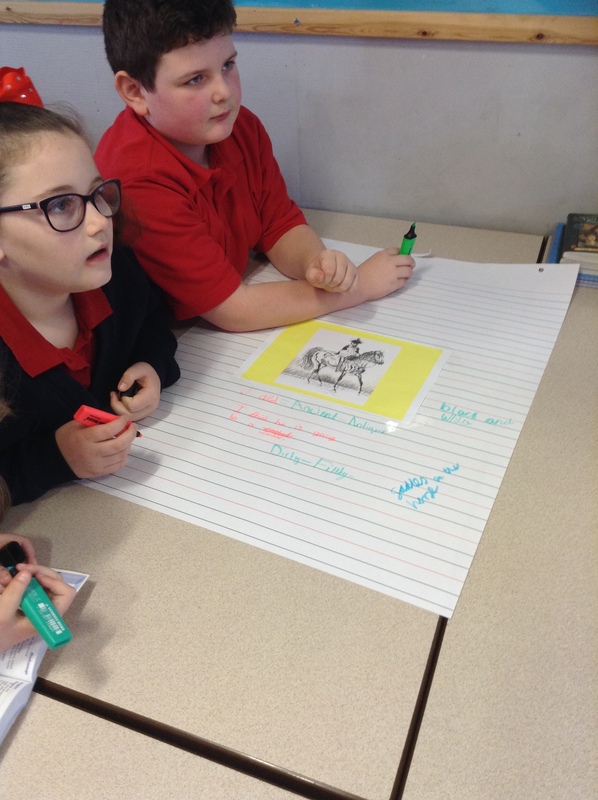 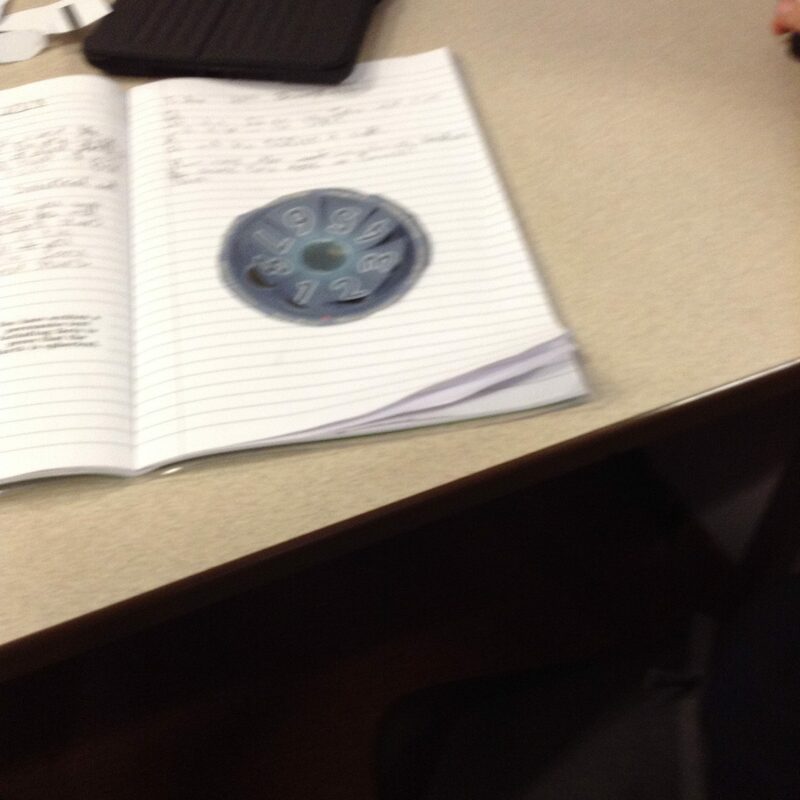 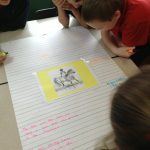 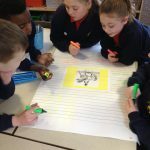 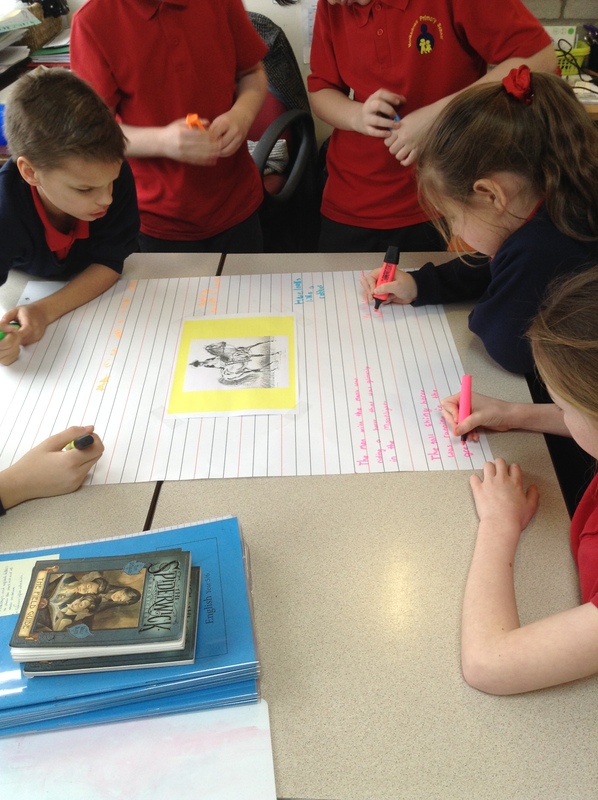 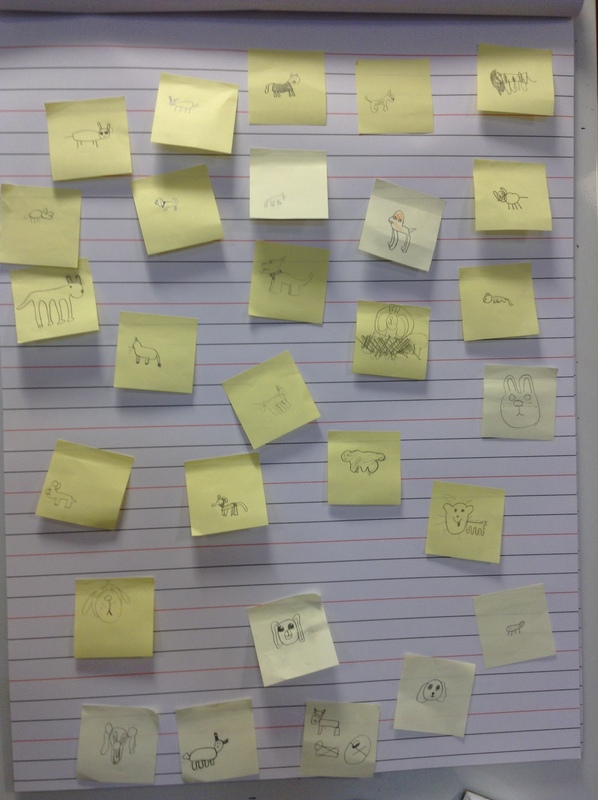 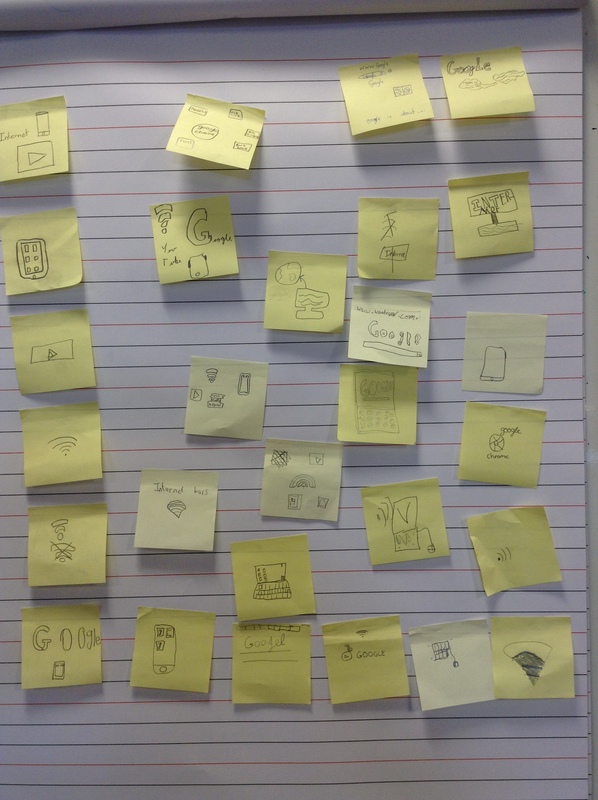 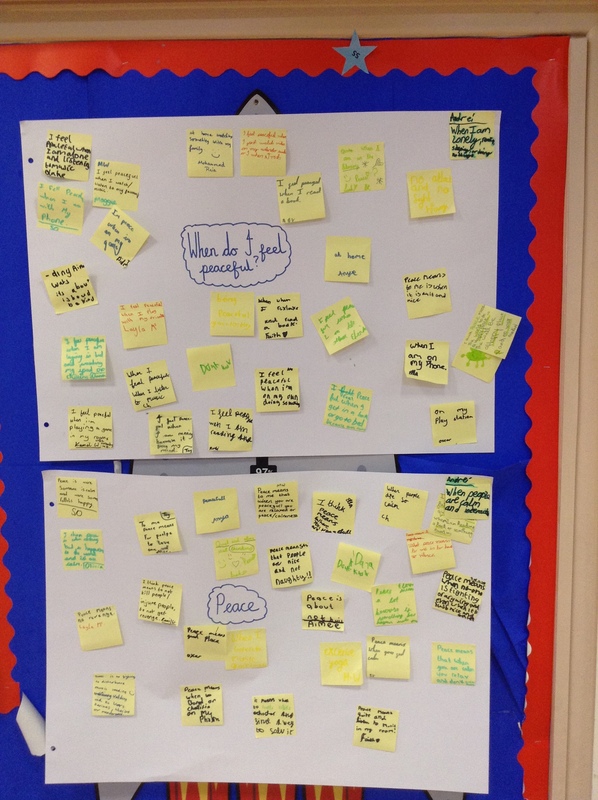 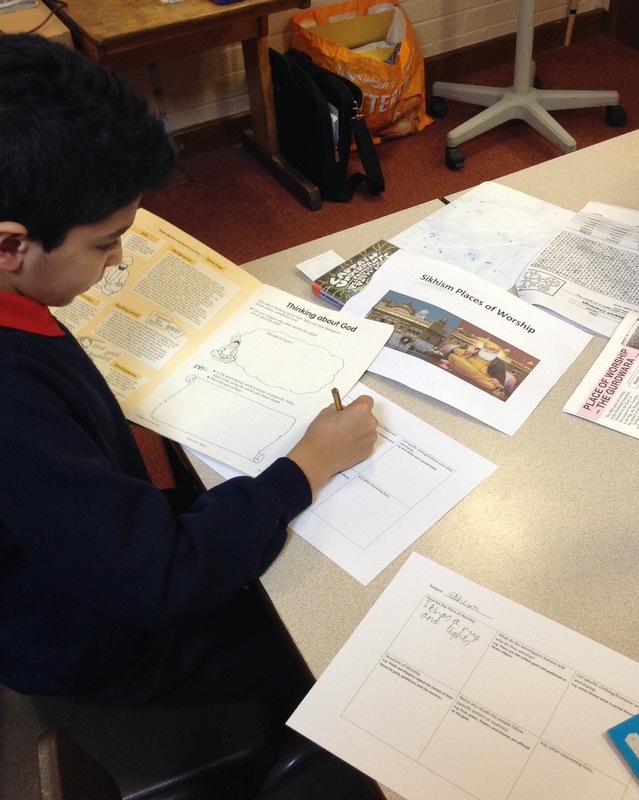 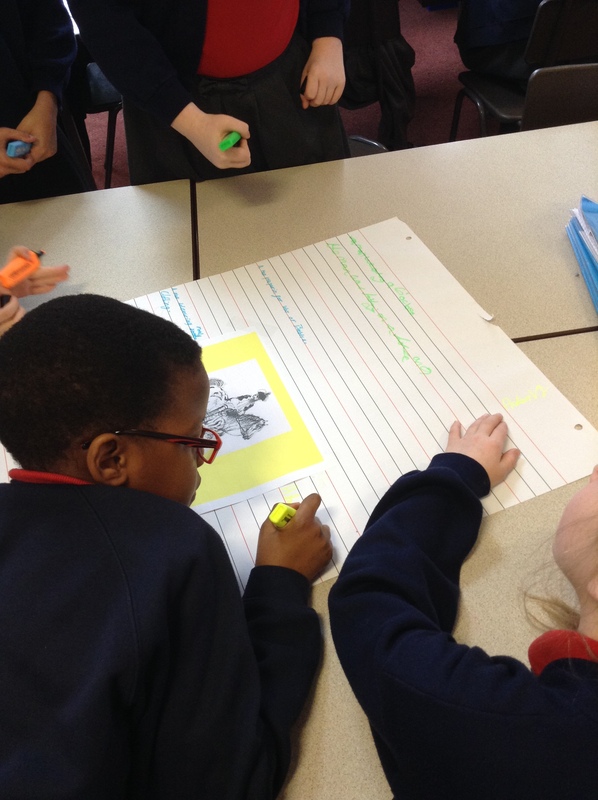 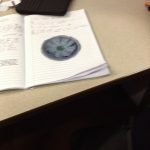 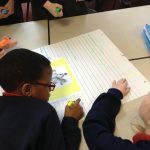 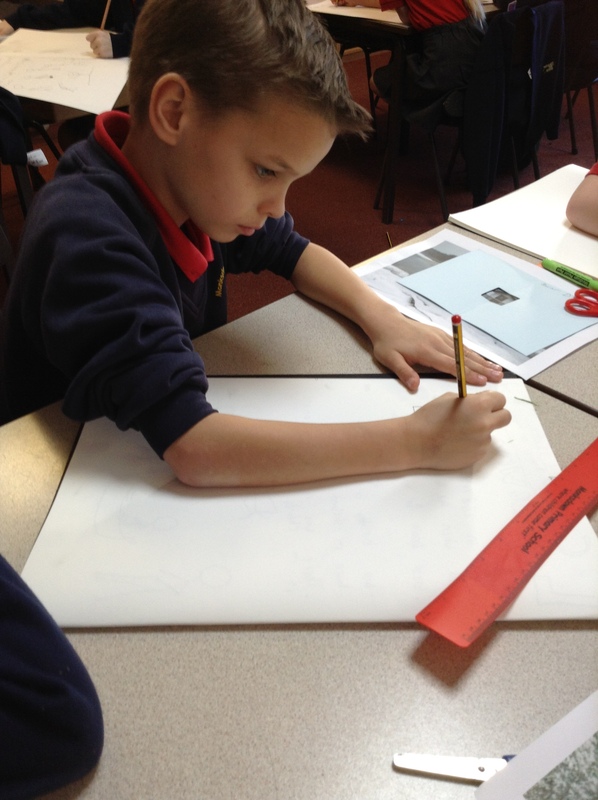 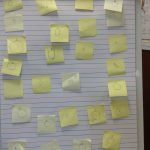 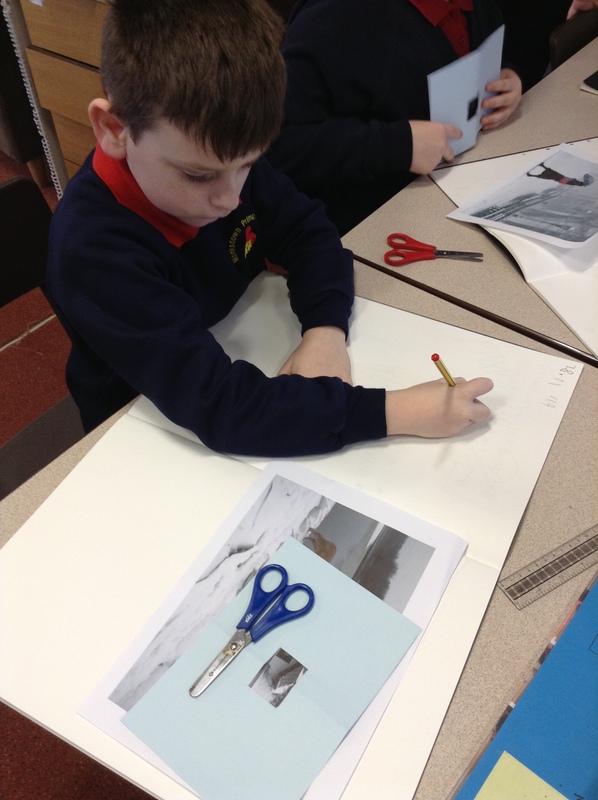 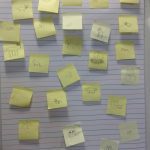 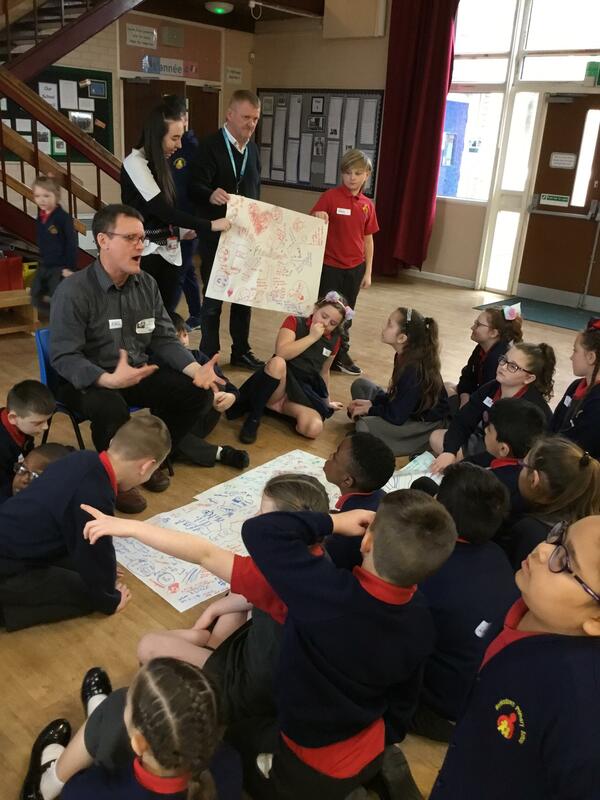 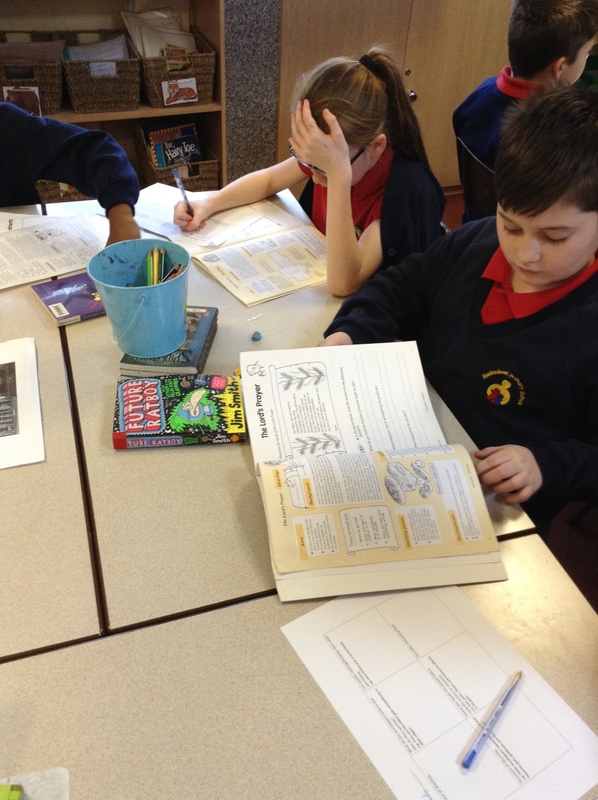 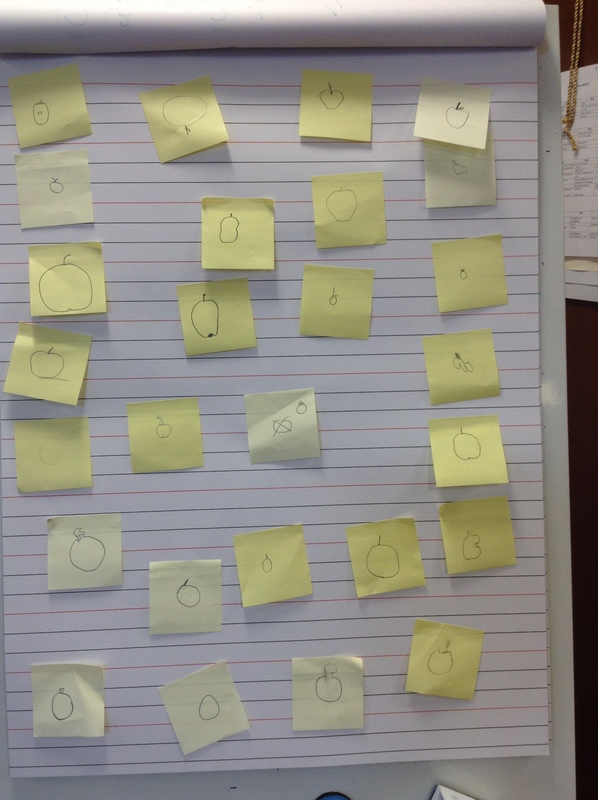 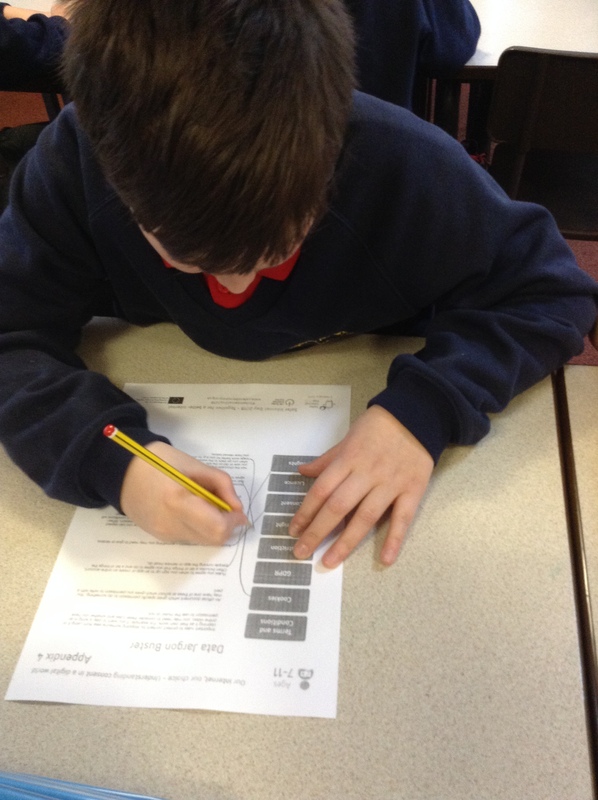 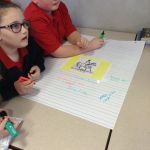 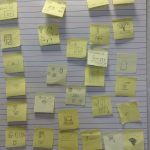 Week of 04/02/2019: We looked at an image of the Highway Man and generated ideas about who he may be and where he may be going. 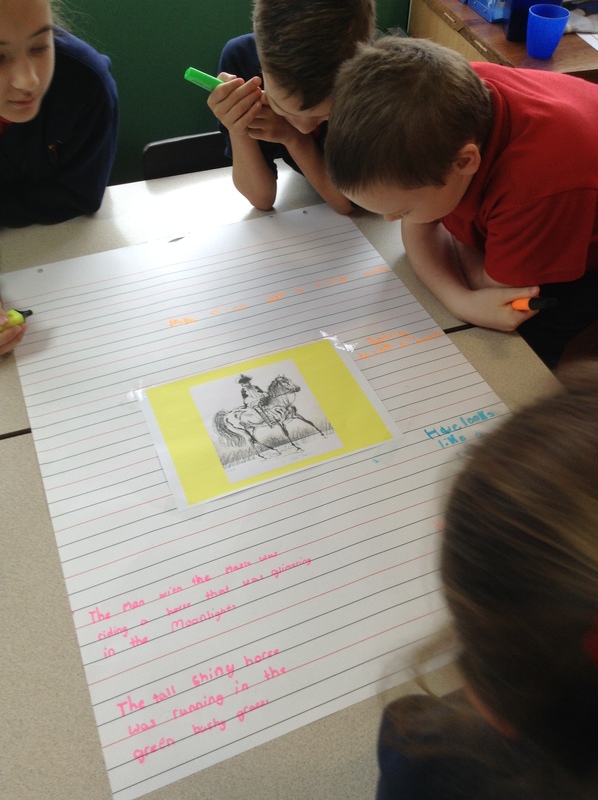 We also considered possible questions about the image. 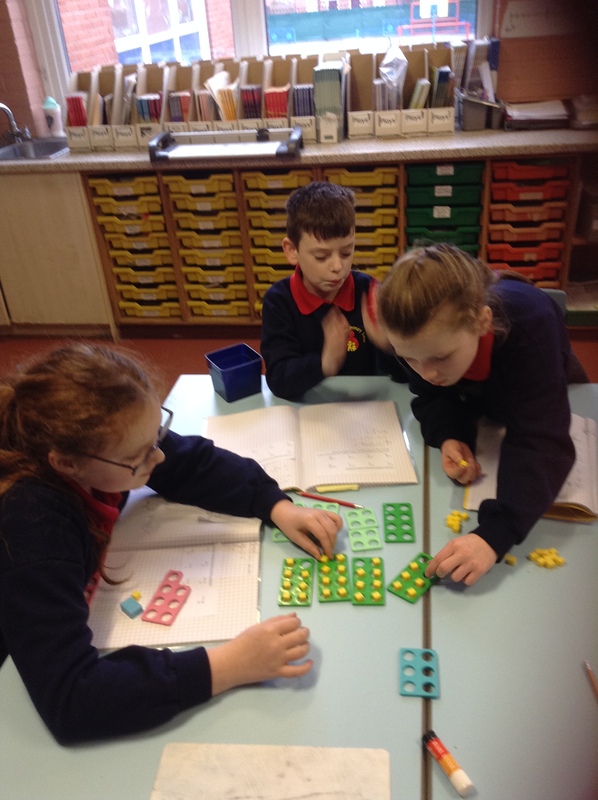 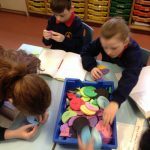 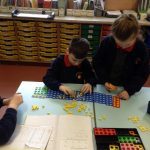 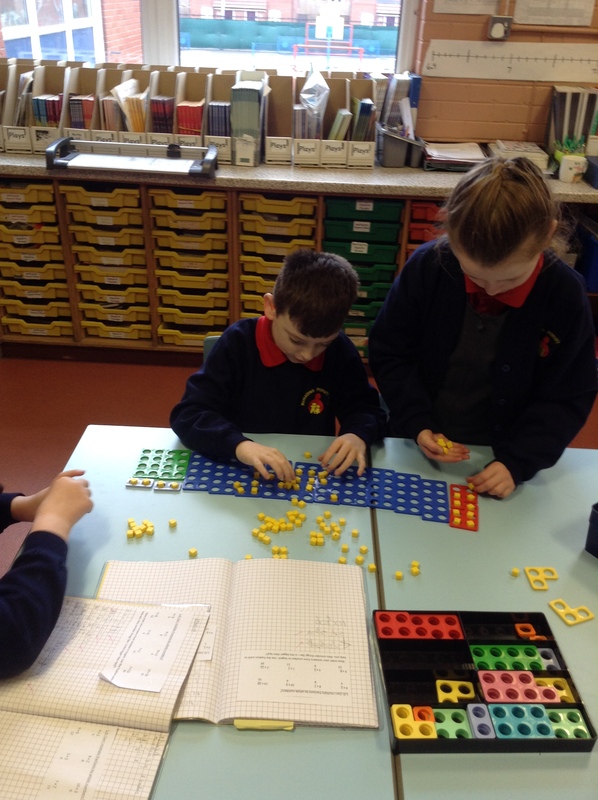 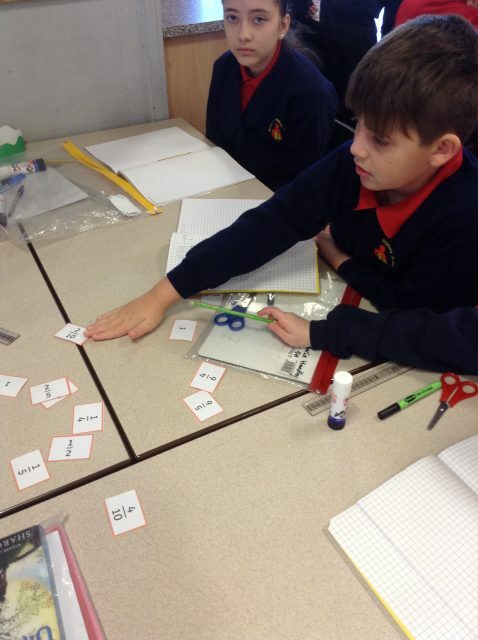 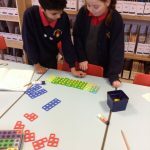 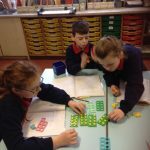 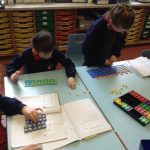 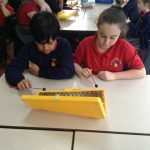 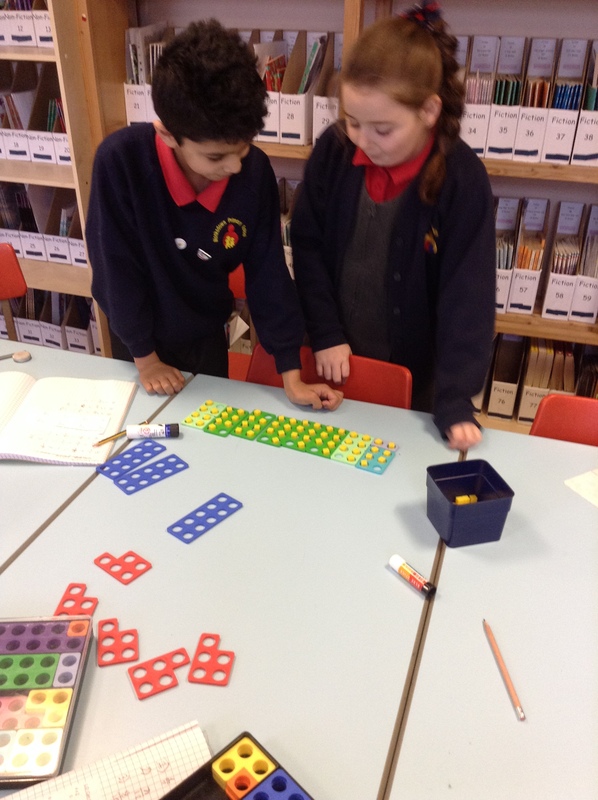 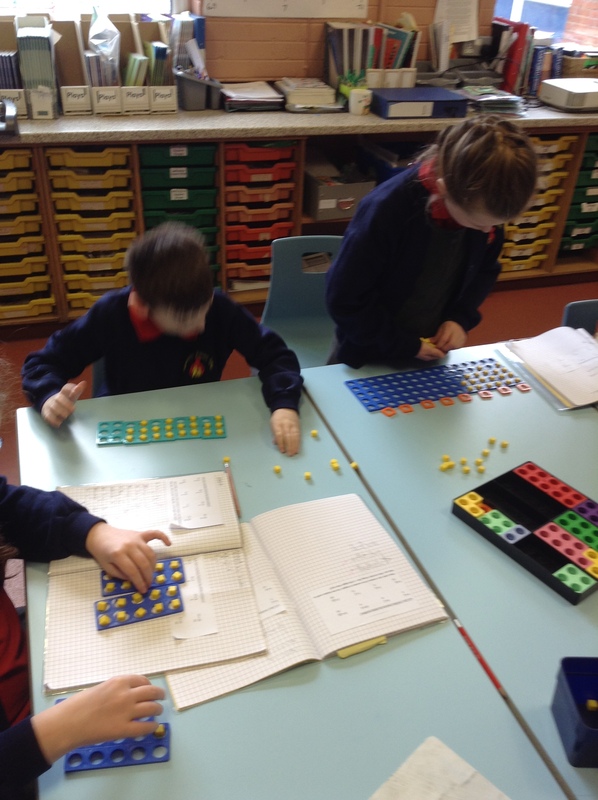 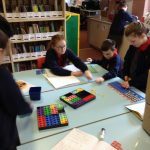 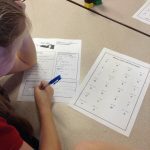 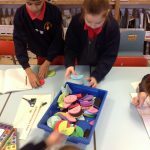 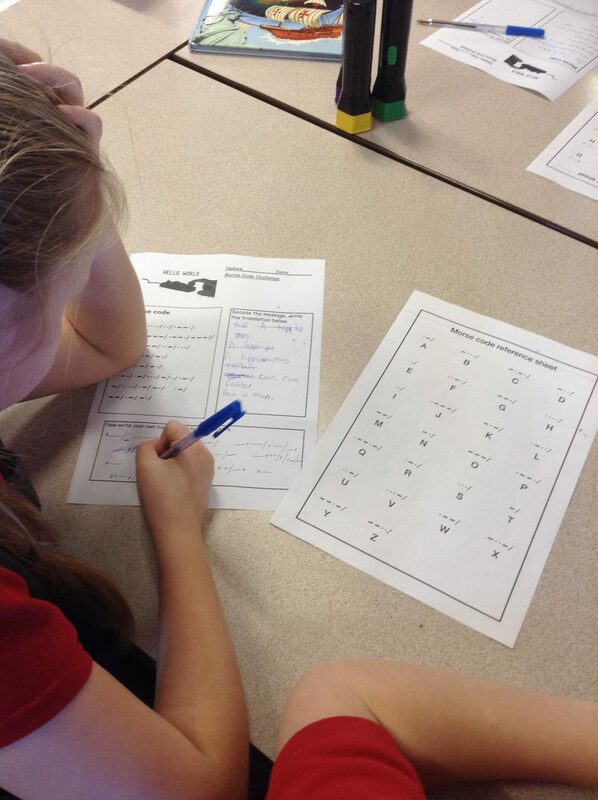 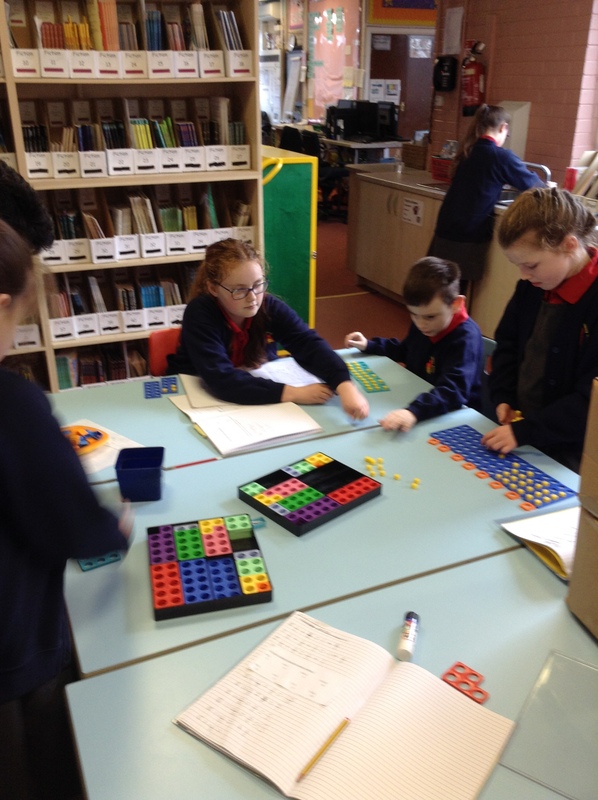 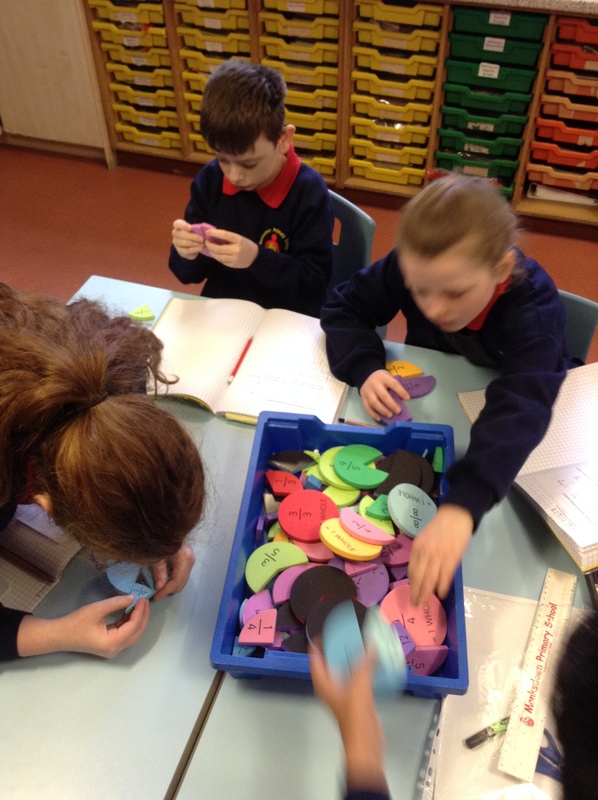 Week of 04/02/2019: We used numicon to support us with our work on fractions. 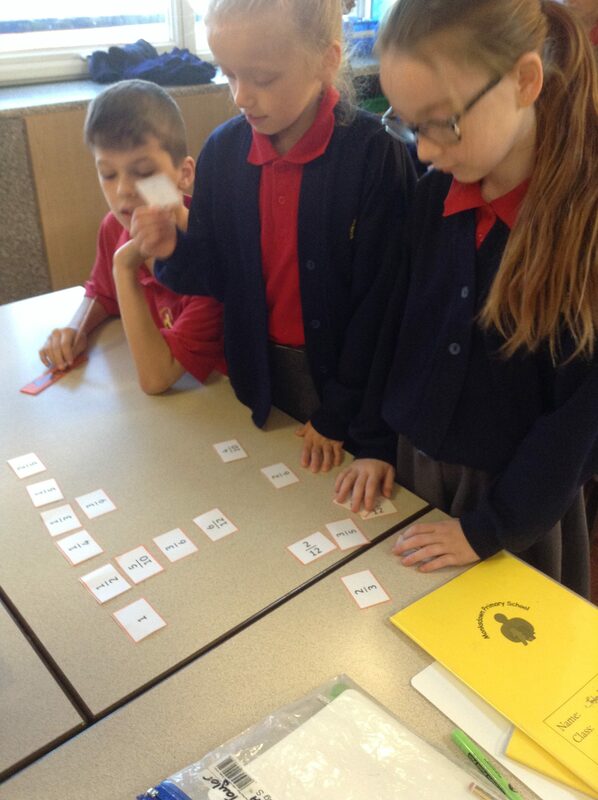 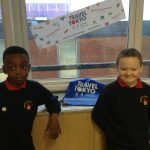 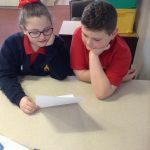 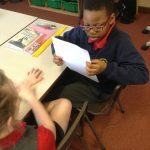 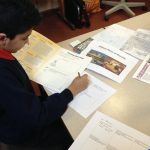 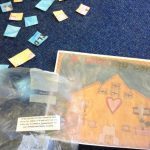 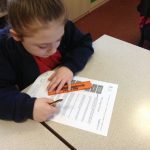 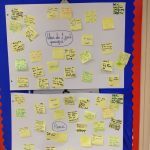 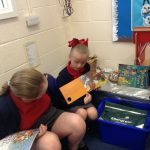 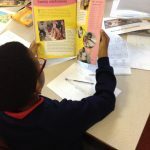 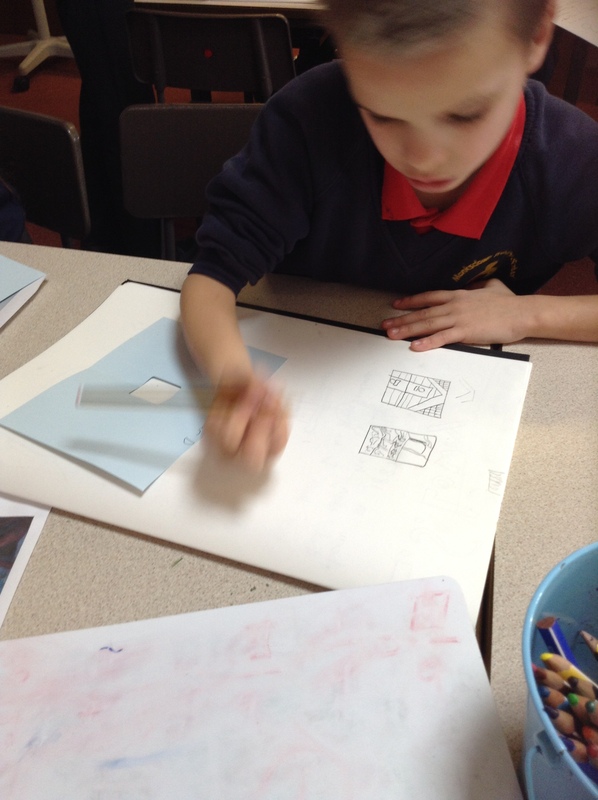 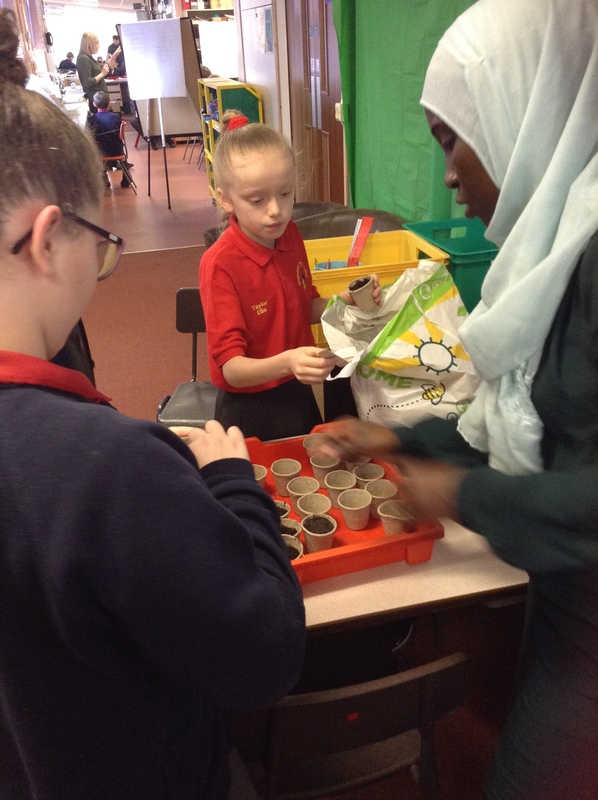 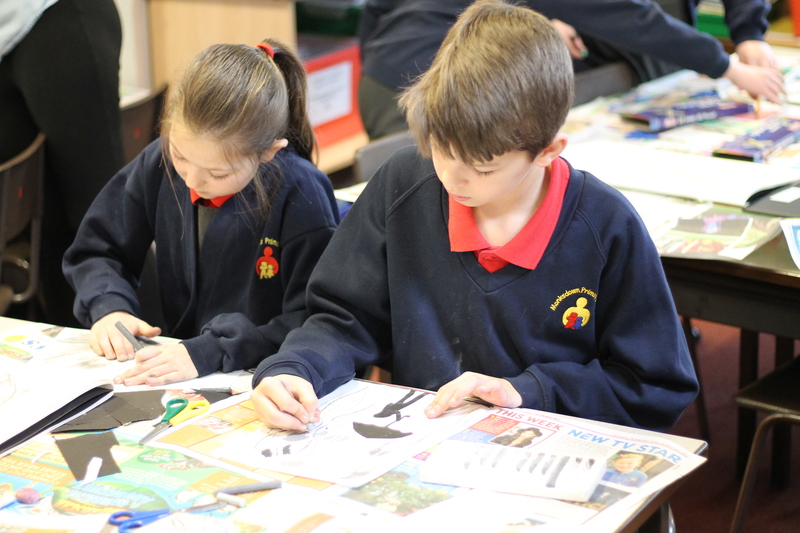 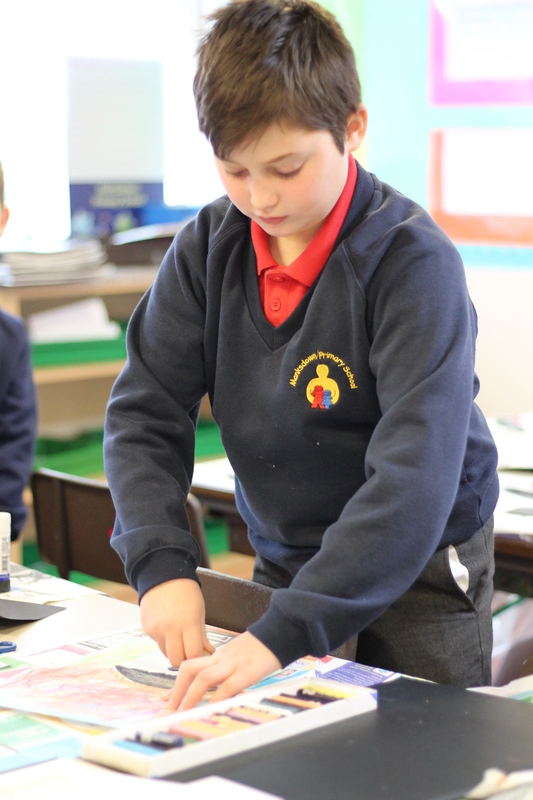 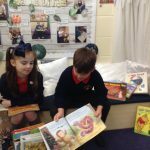 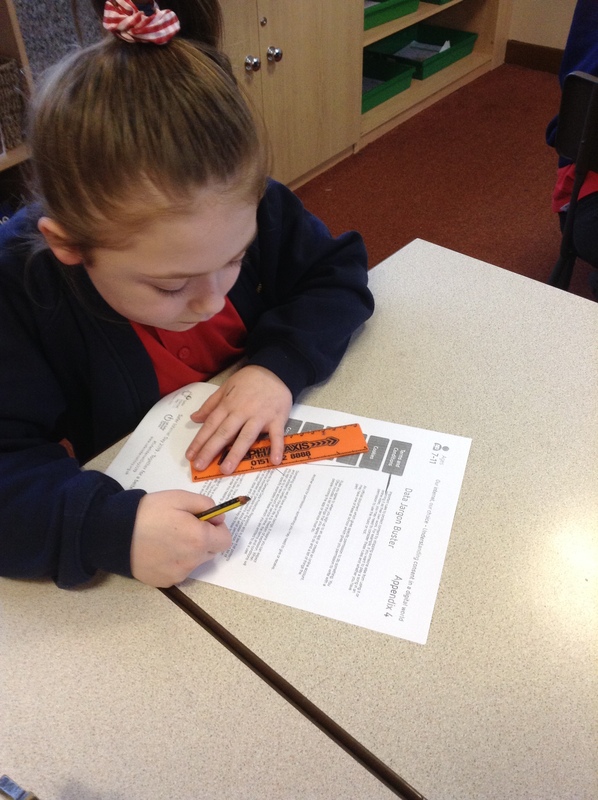 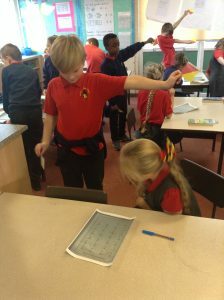 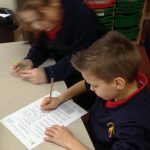 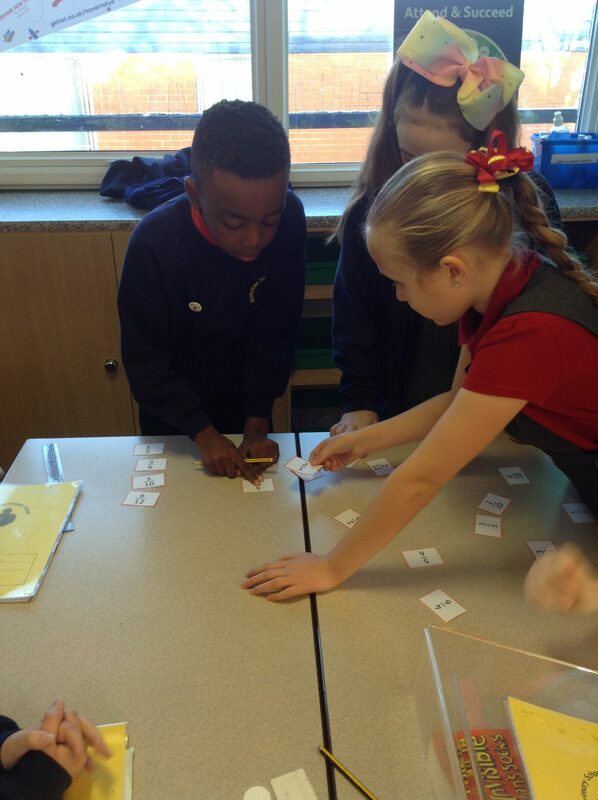 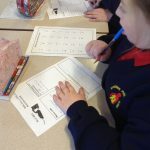 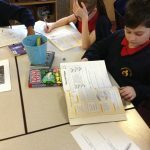 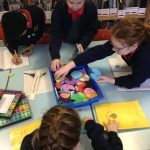 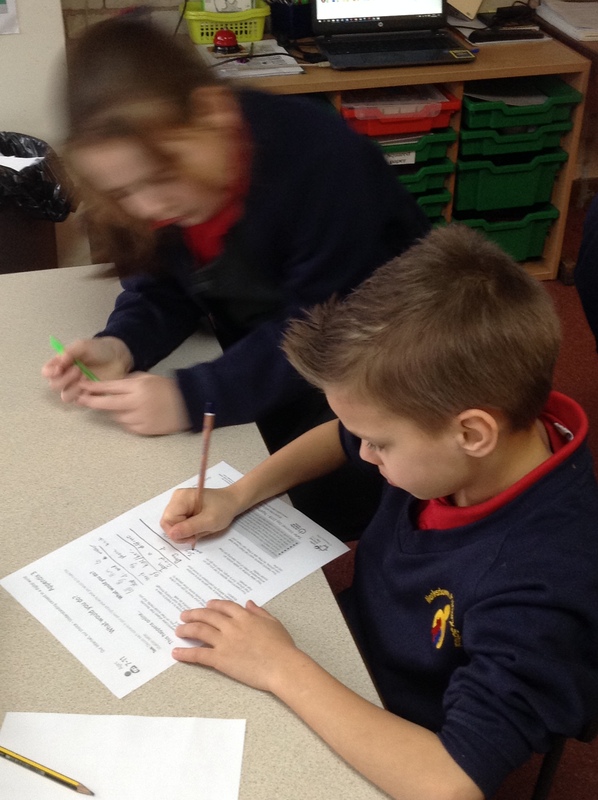 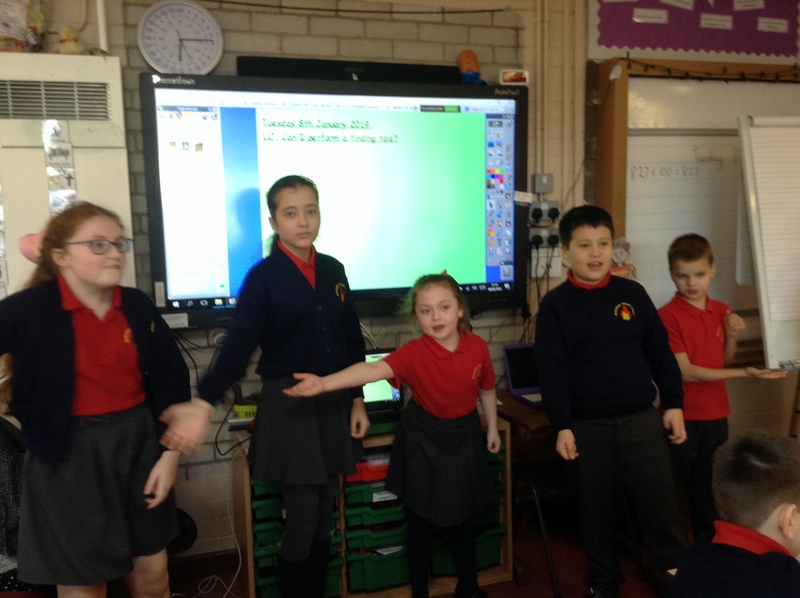 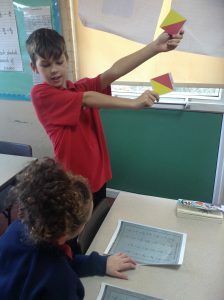 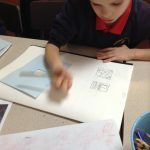 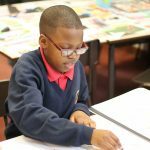 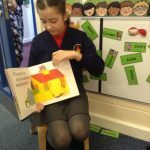 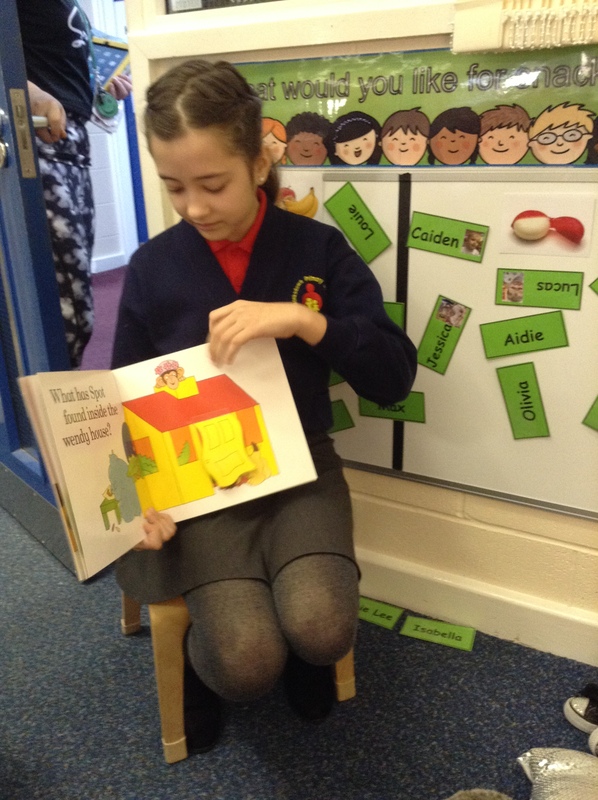 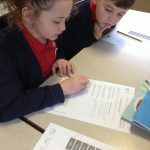 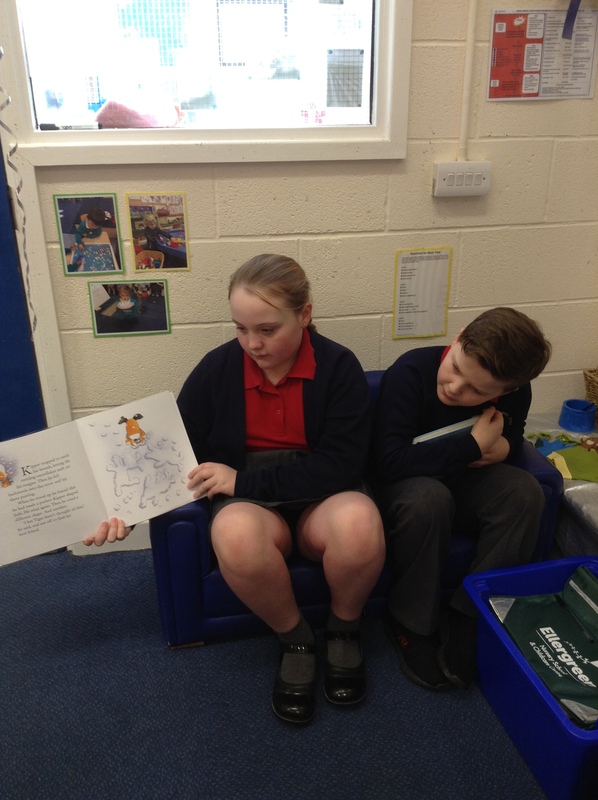 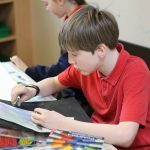 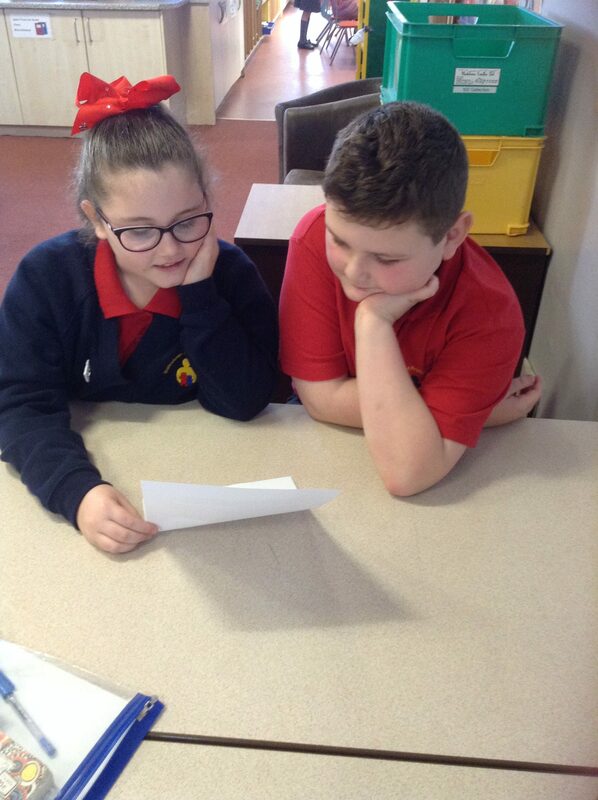 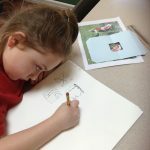 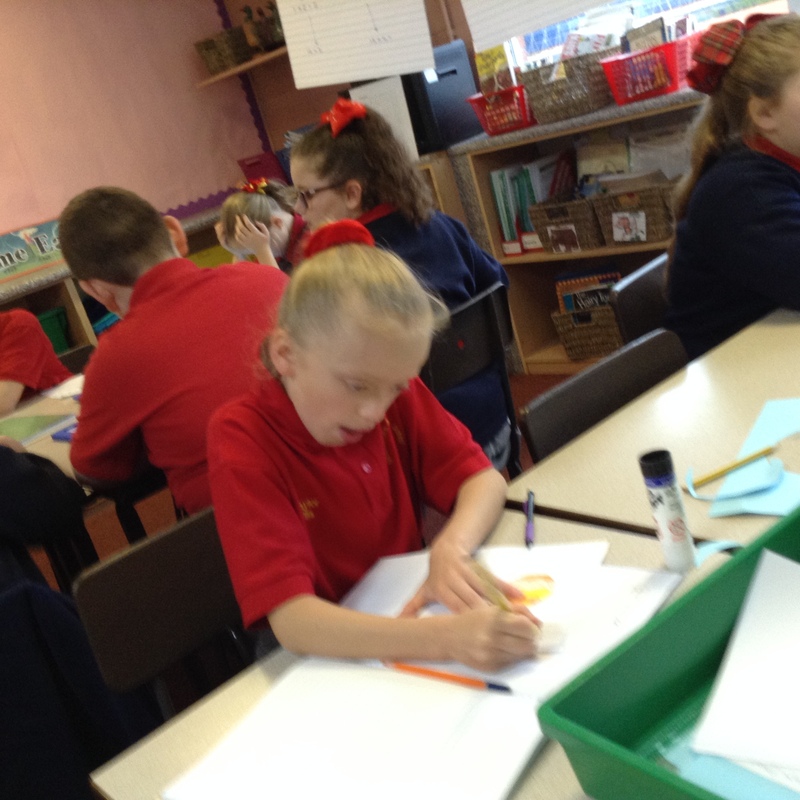 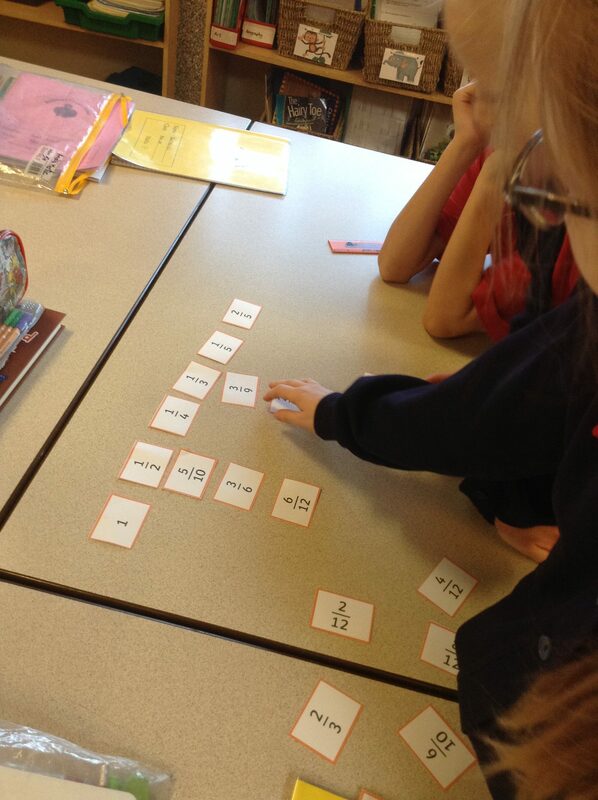 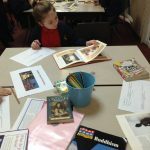 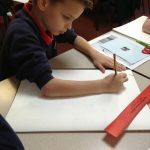 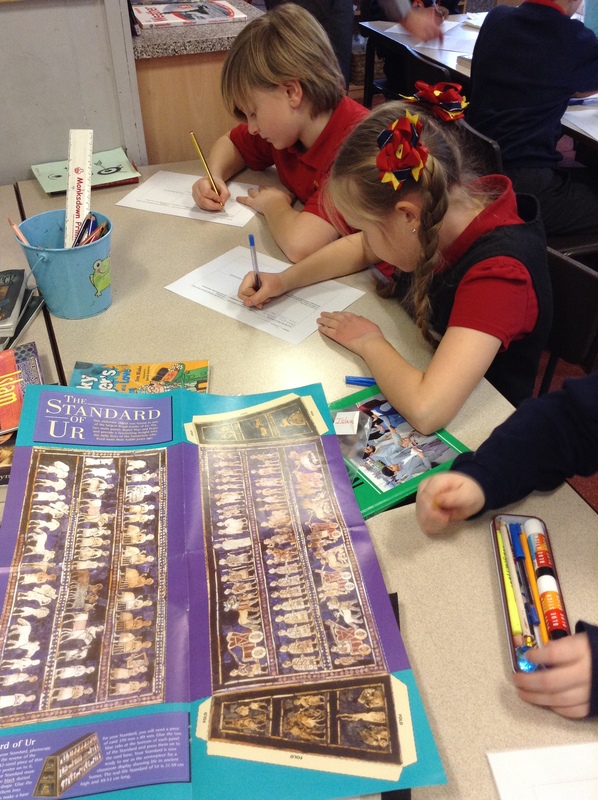 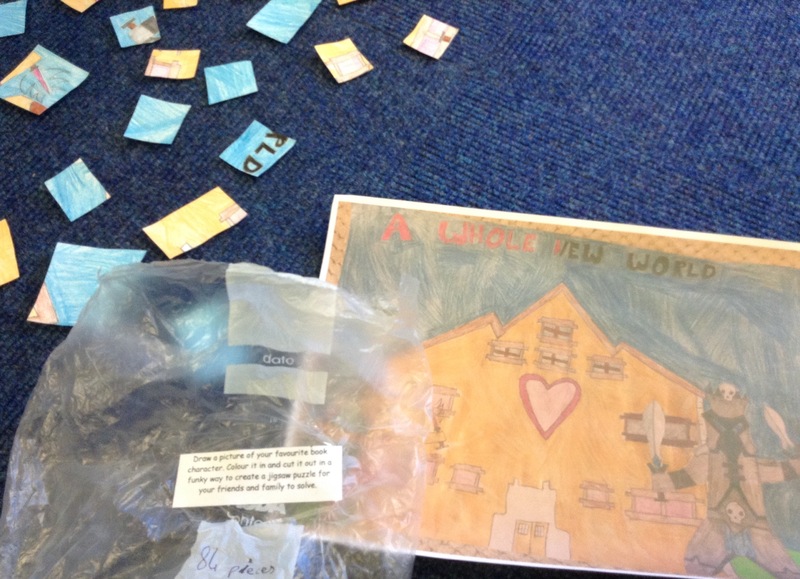 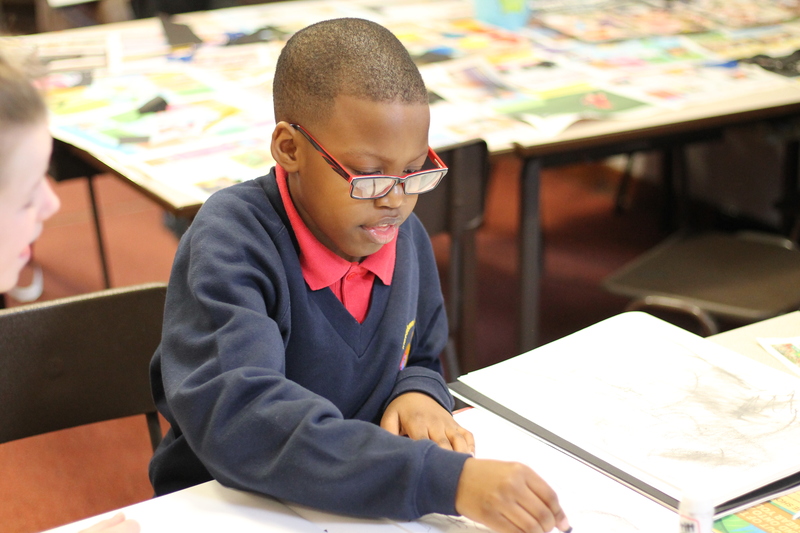 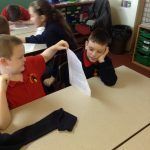 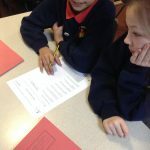 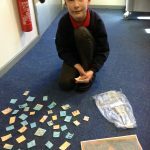 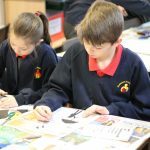 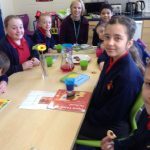 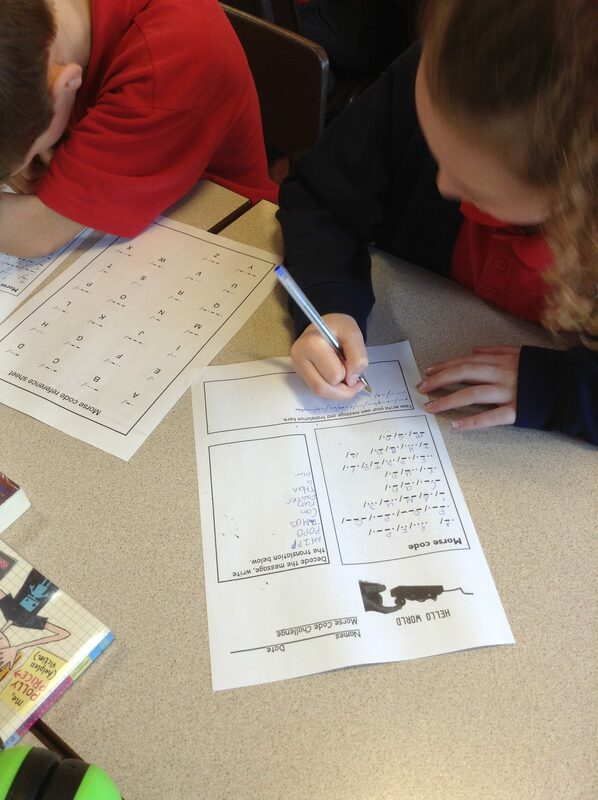 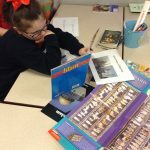 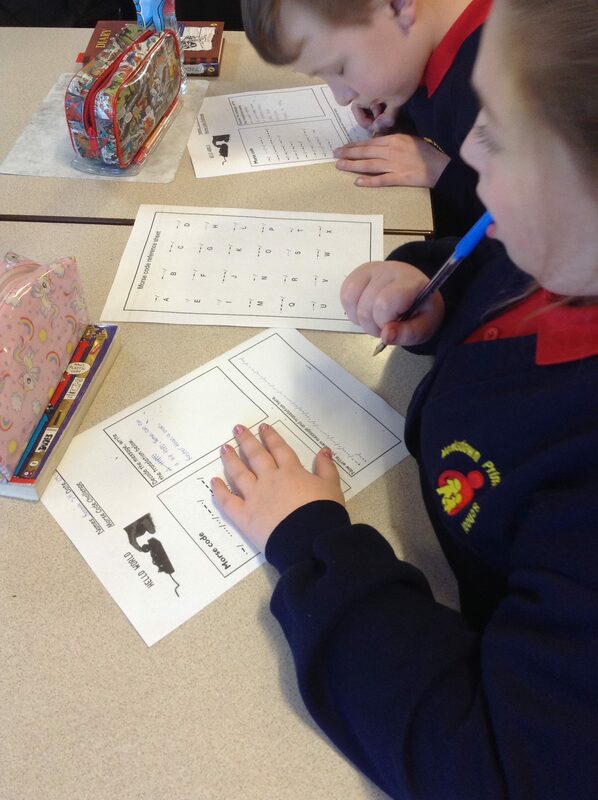 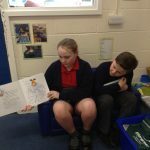 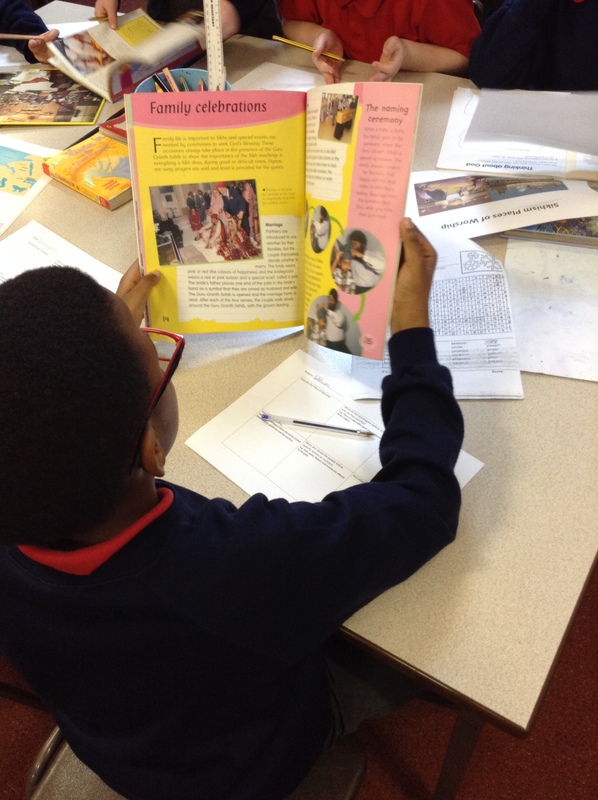 Week of 04/02/2019: 5H have been working hard with their families at home. 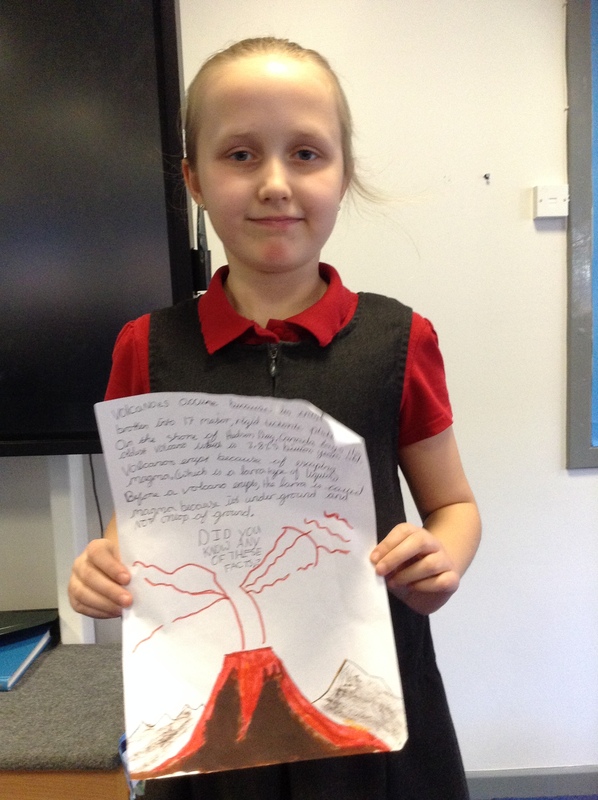 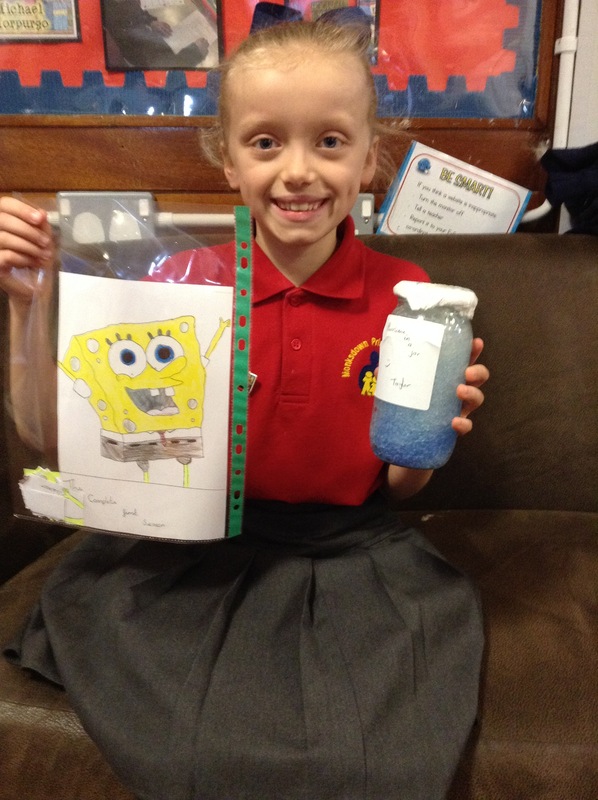 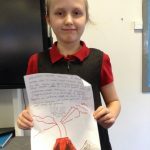 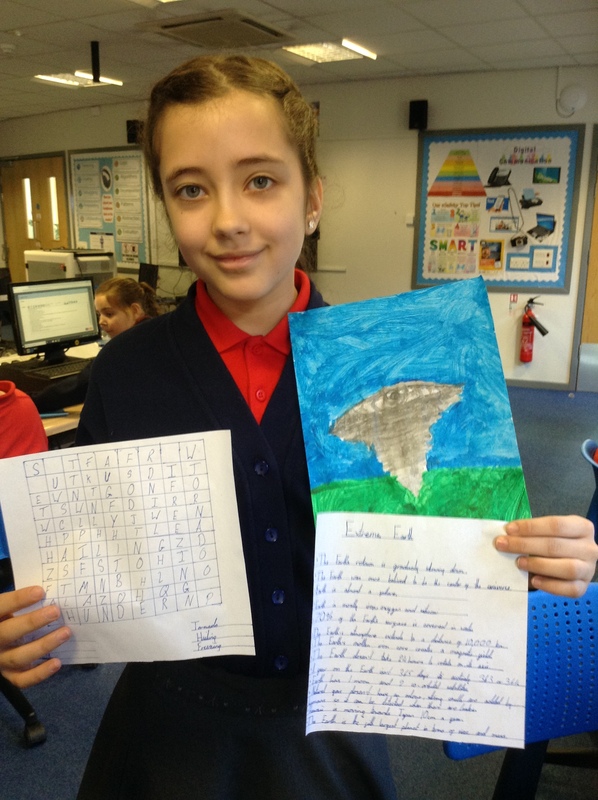 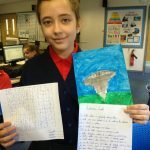 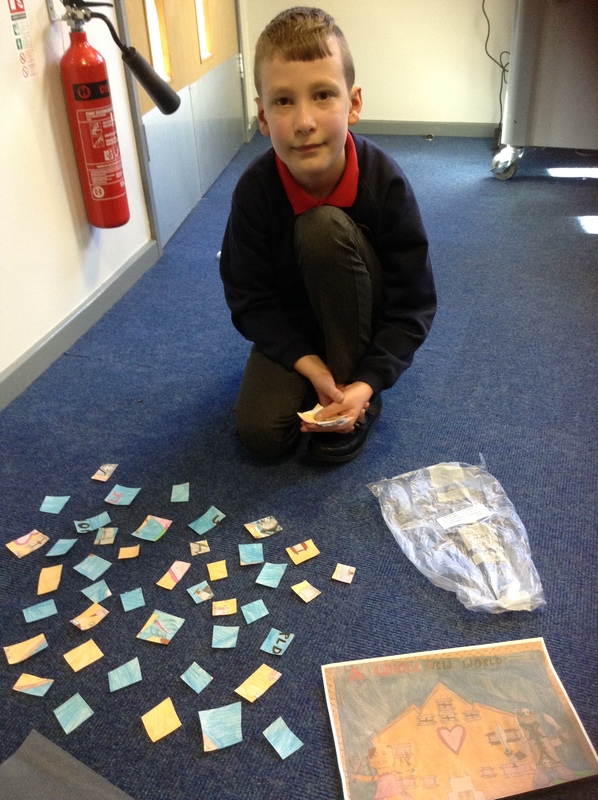 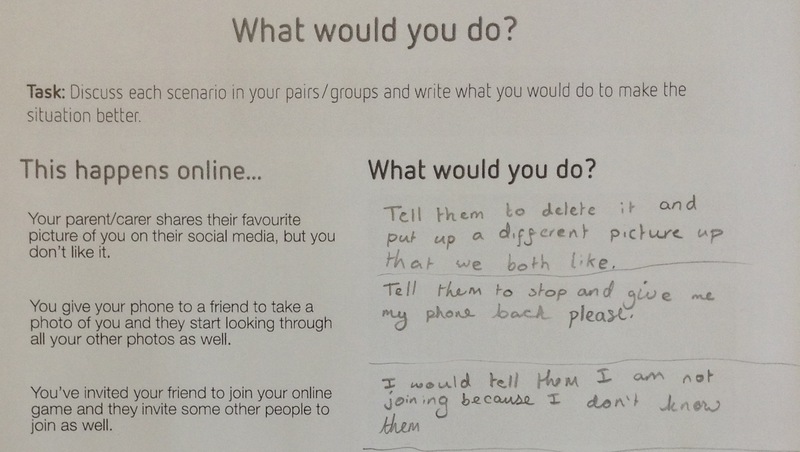 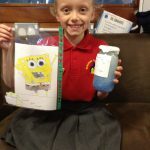 Look at this fantastic additional homework! 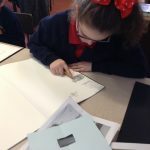 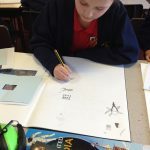 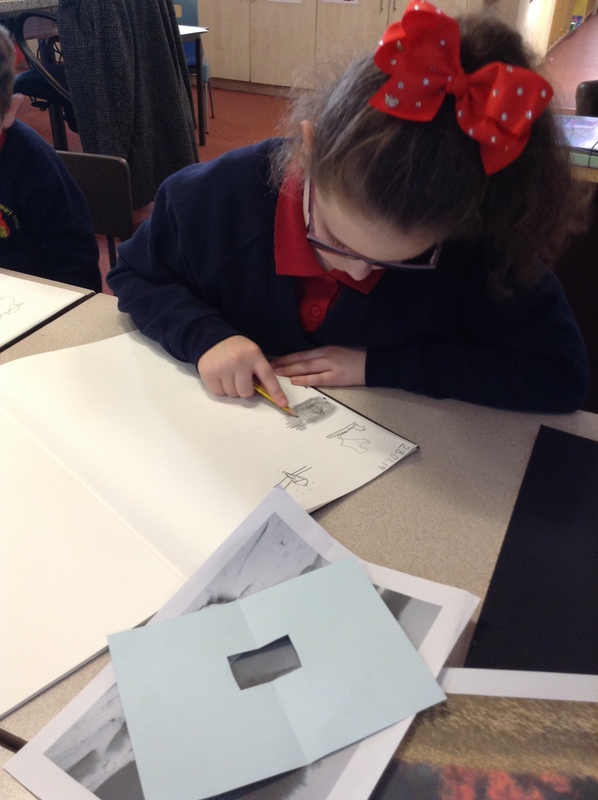 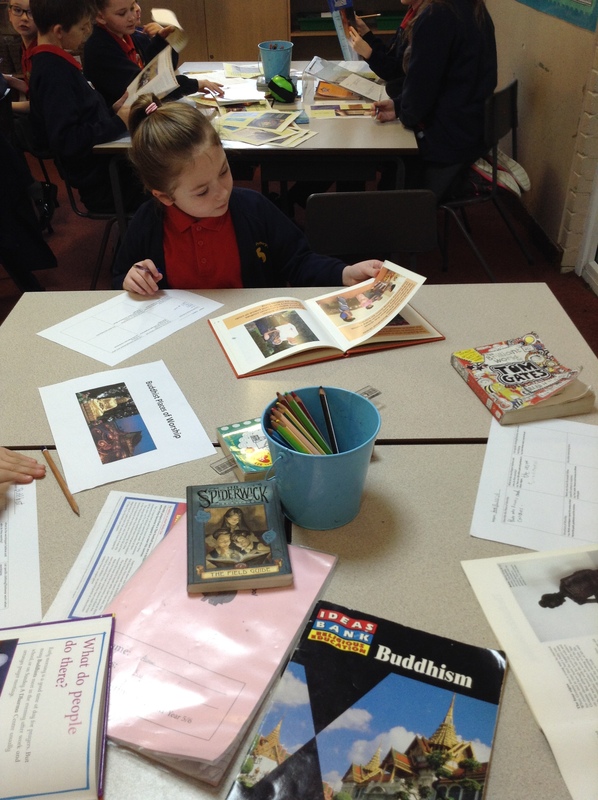 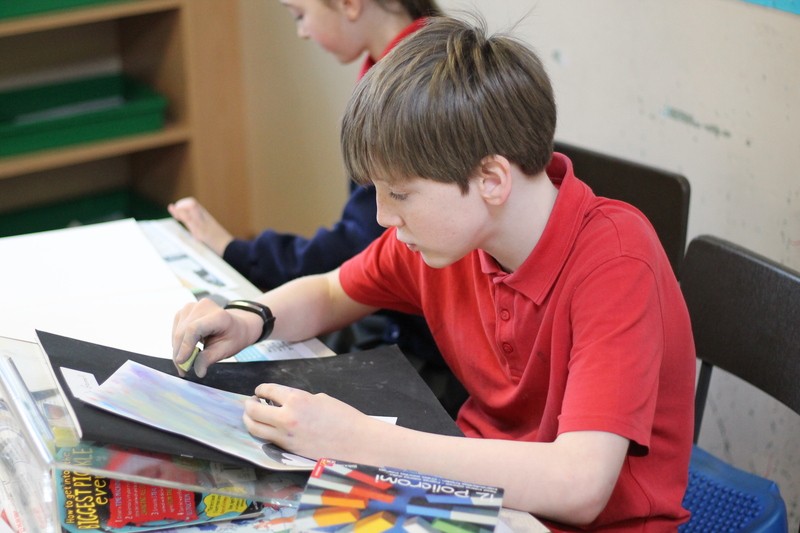 Week of 04/02/2019: We looked at a range of art that incorporated weather as the main theme. 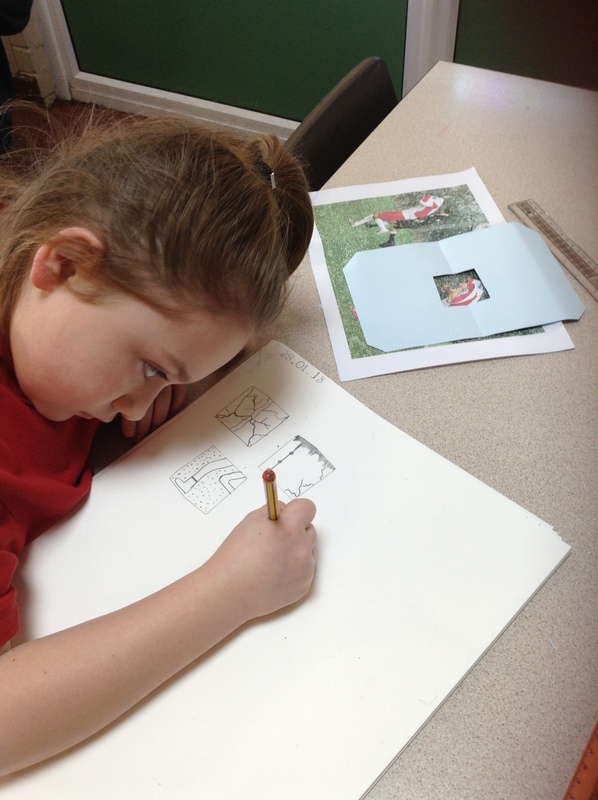 We used a view finder, to focus on one section and sketch parts that displayed different types of weather. 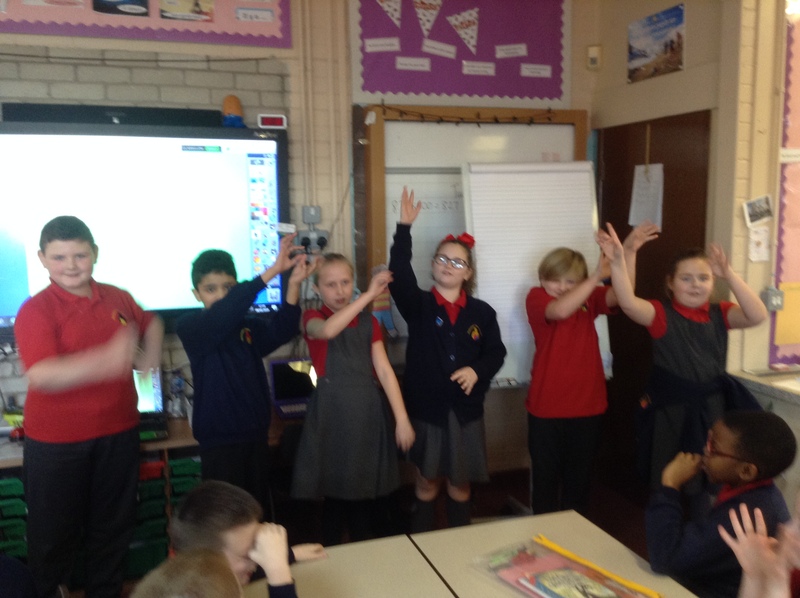 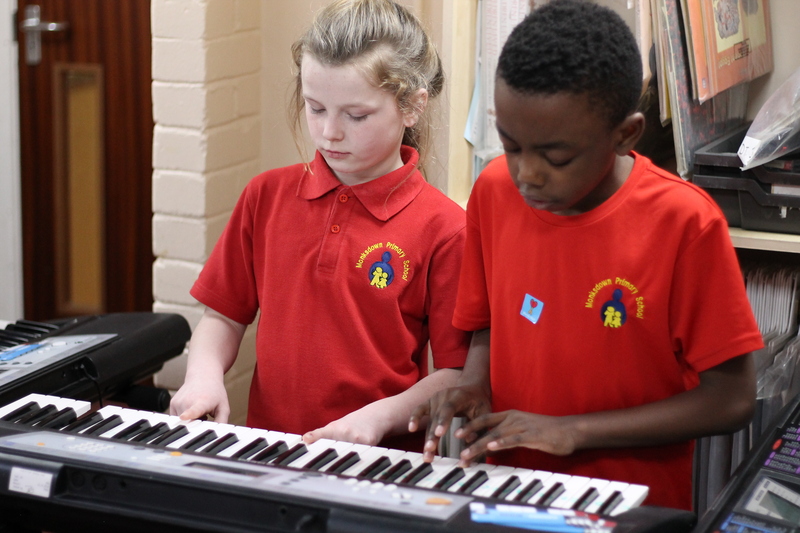 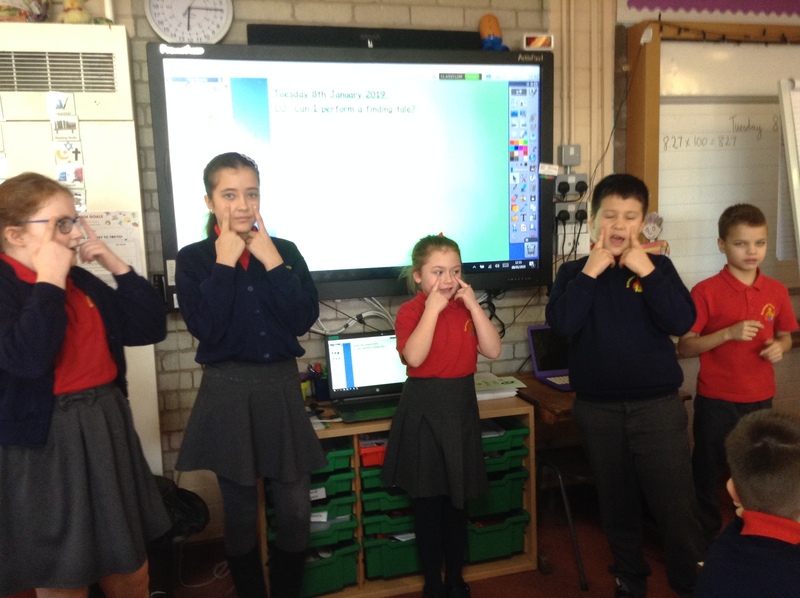 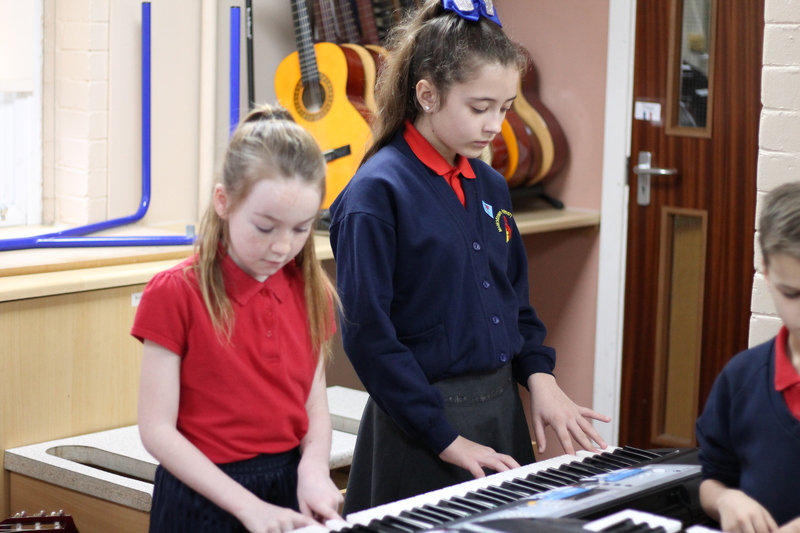 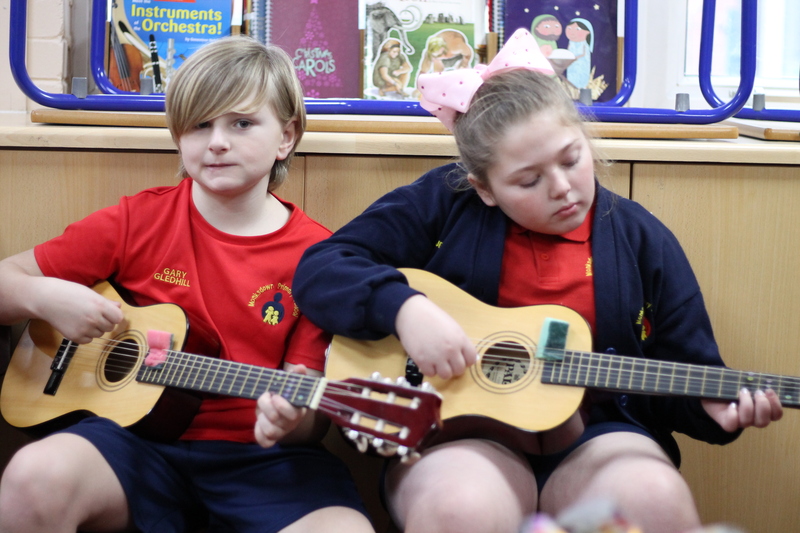 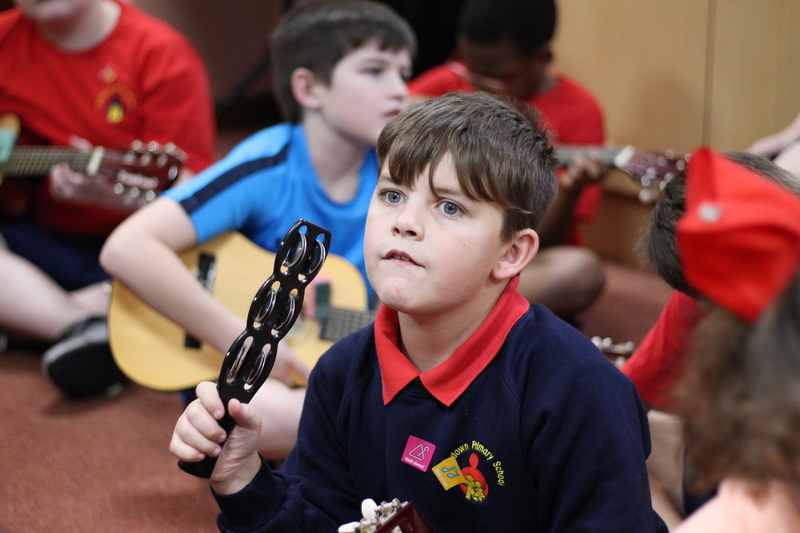 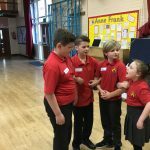 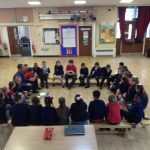 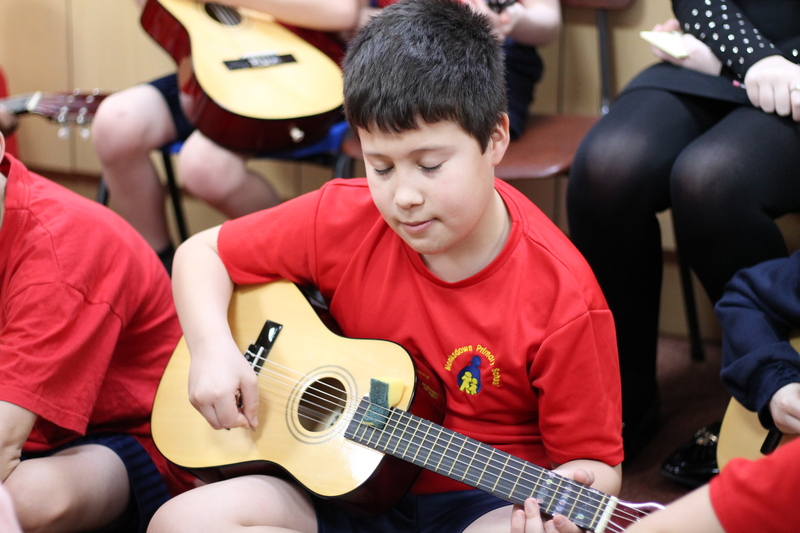 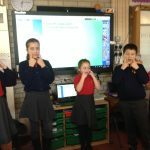 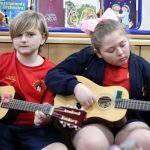 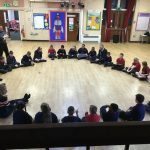 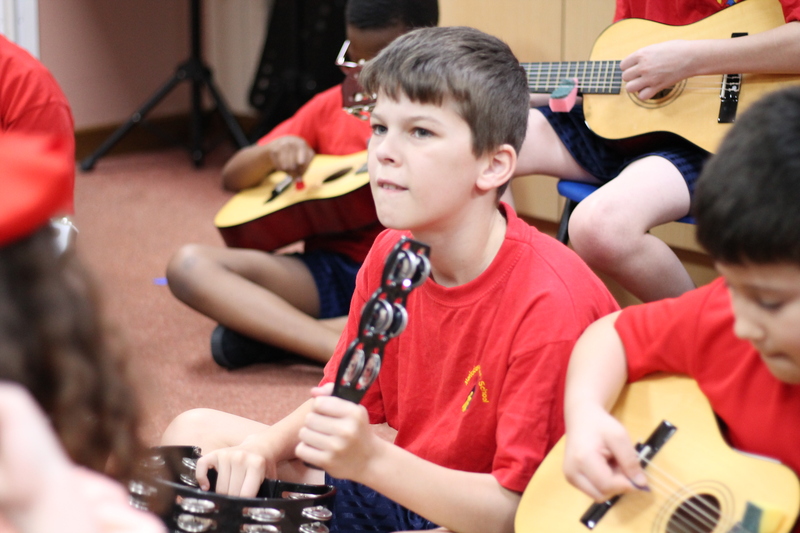 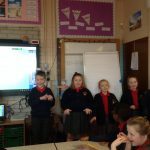 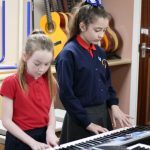 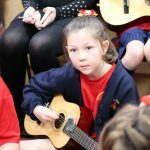 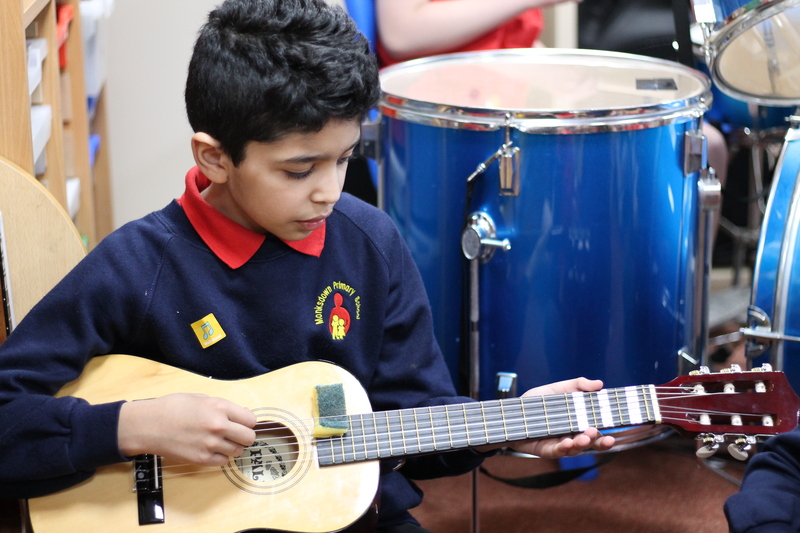 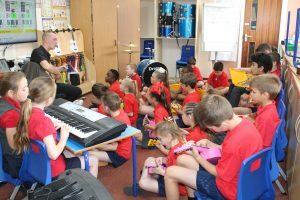 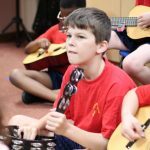 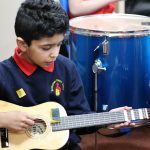 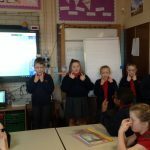 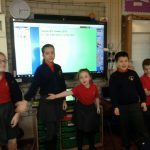 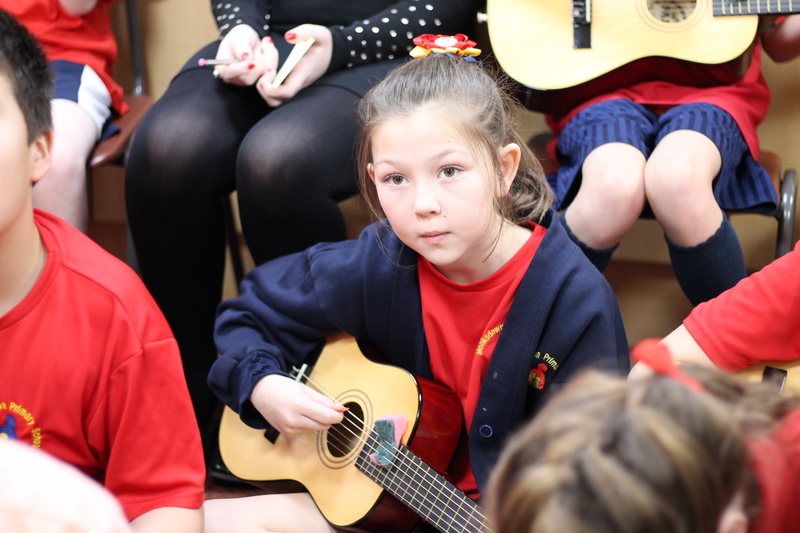 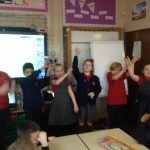 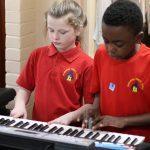 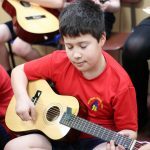 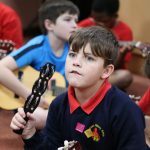 Week of 28/1/19: Our Music lesson involved us learning to perform ‘Songbird’ through guitar, keyboard, drumkit and singing. 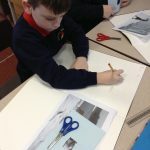 Week of 28/1/19: We looked at a range of art that incorporated weather as the main theme. 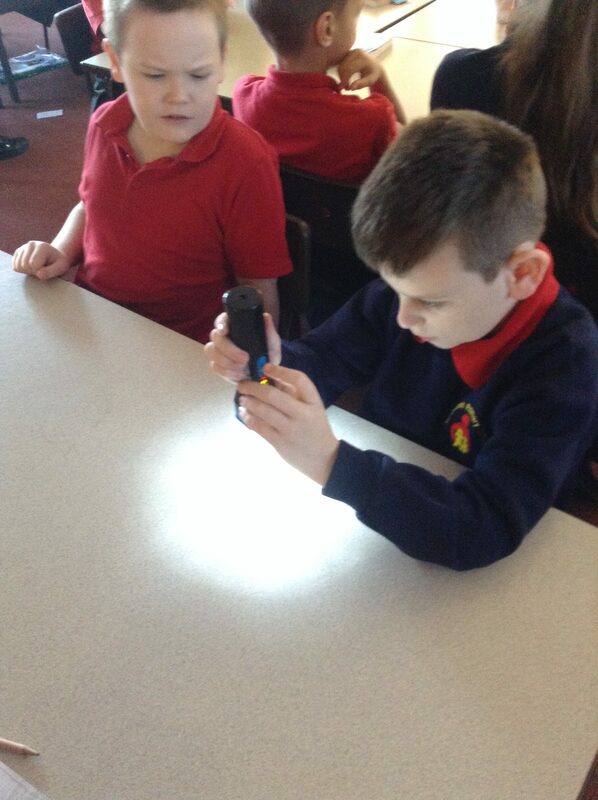 We used a view finder, to focus on one section and sketch parts that displayed different types of weather. 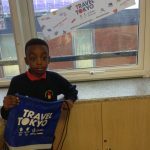 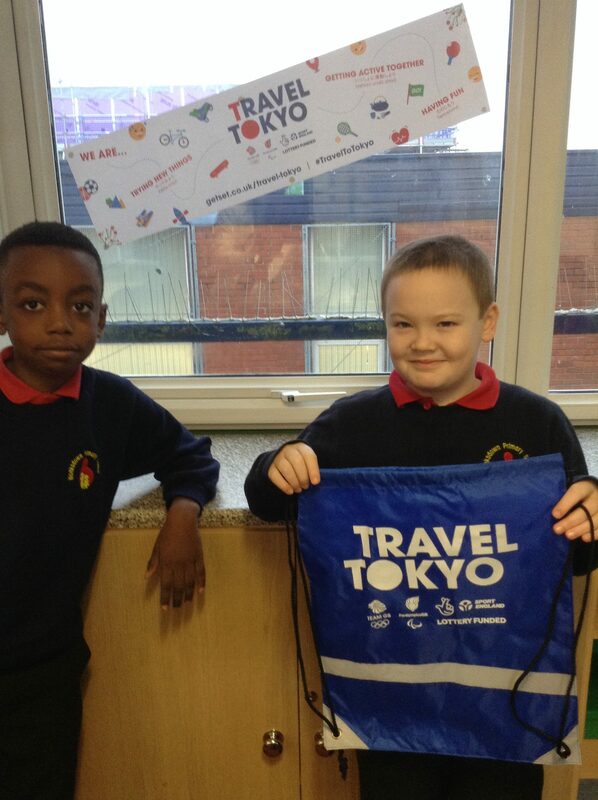 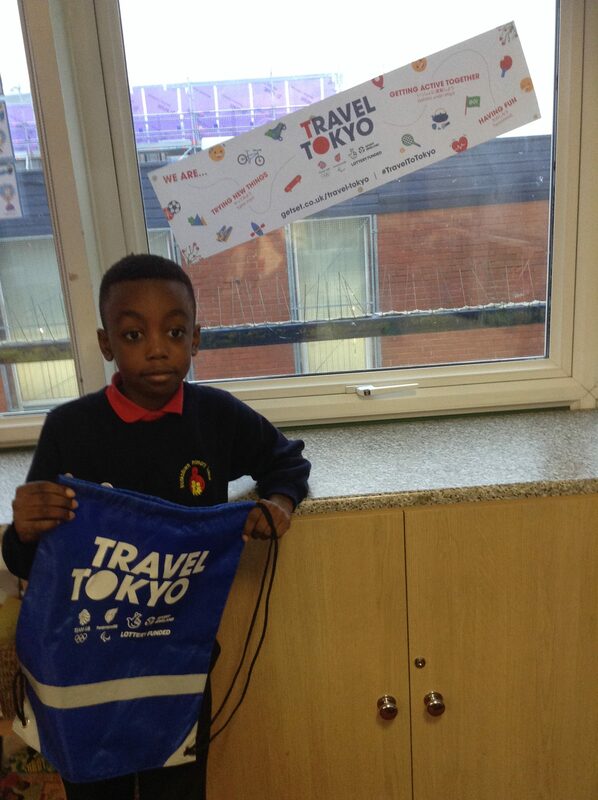 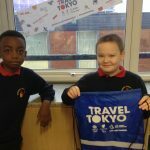 Week of 14/1/19: Due to the amount of activity logged by 5H last term, our whole class were awarded with a brand new sports bag. 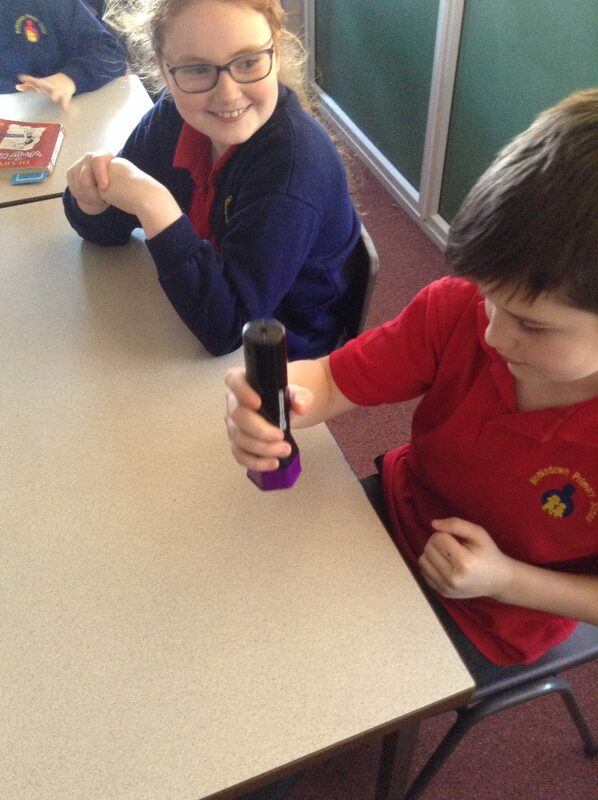 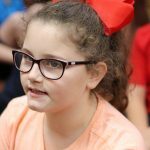 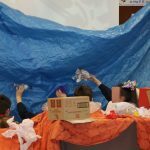 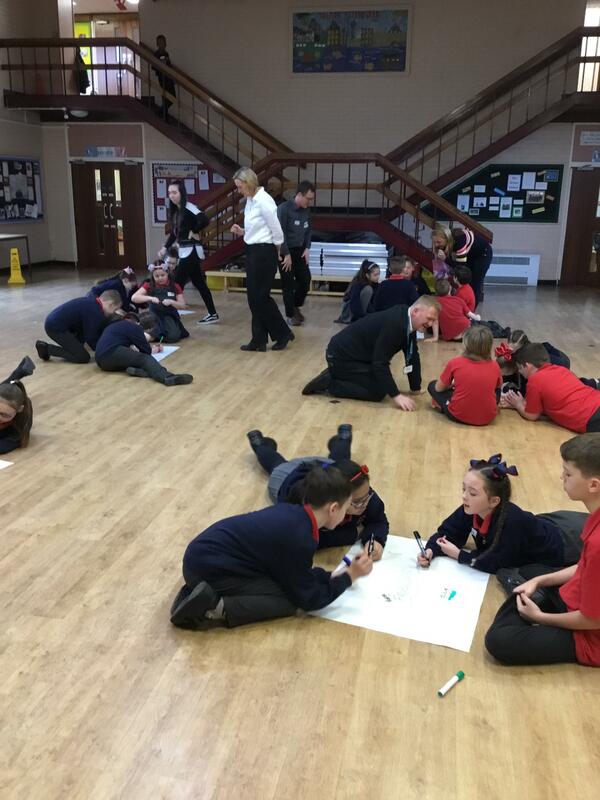 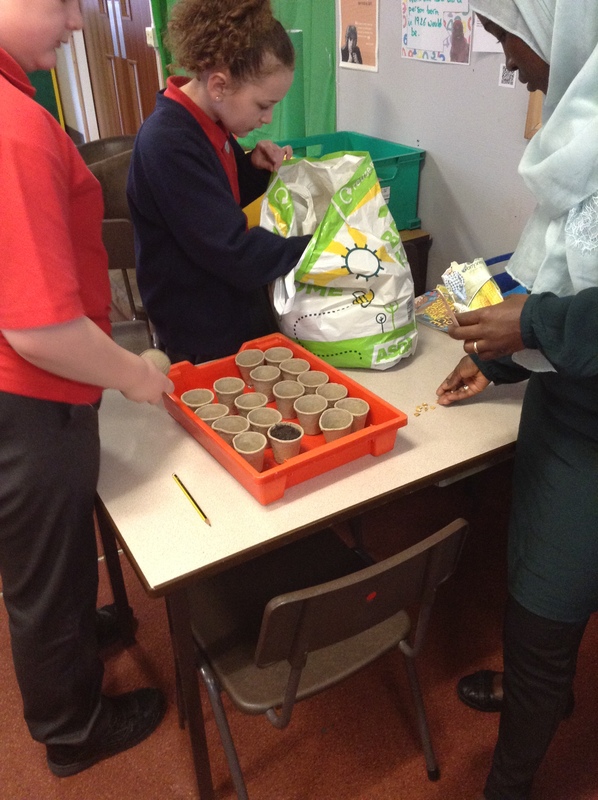 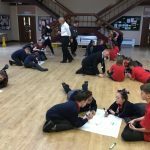 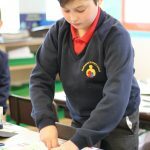 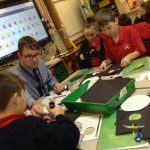 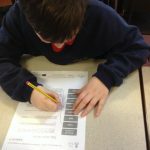 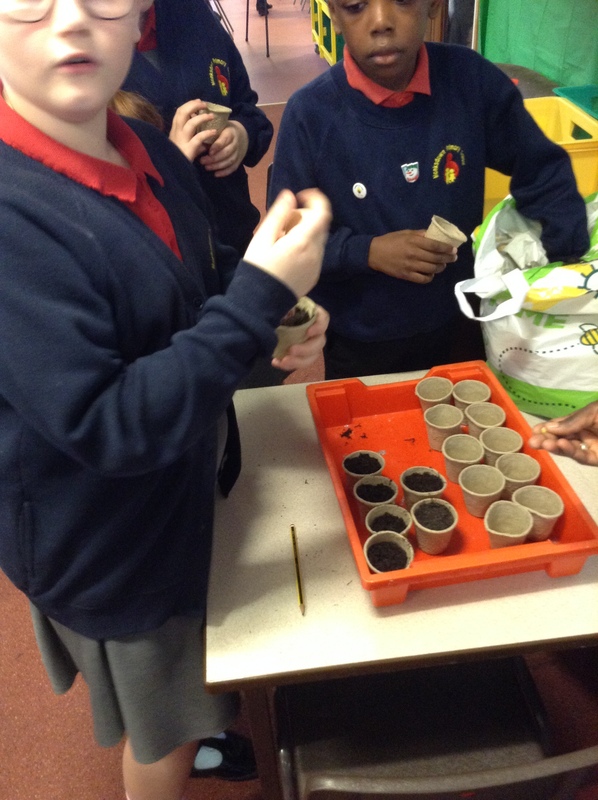 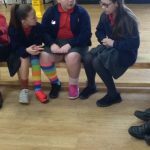 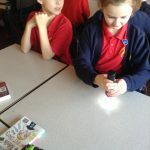 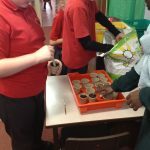 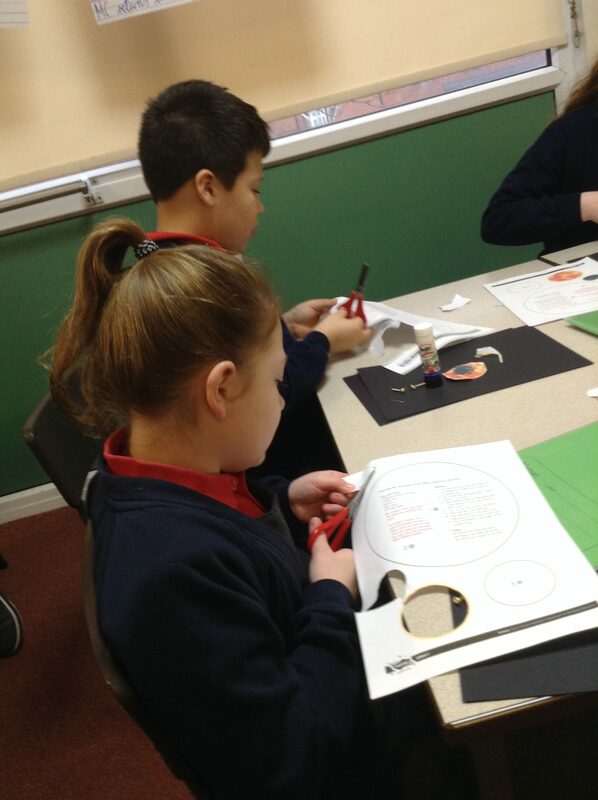 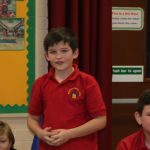 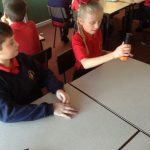 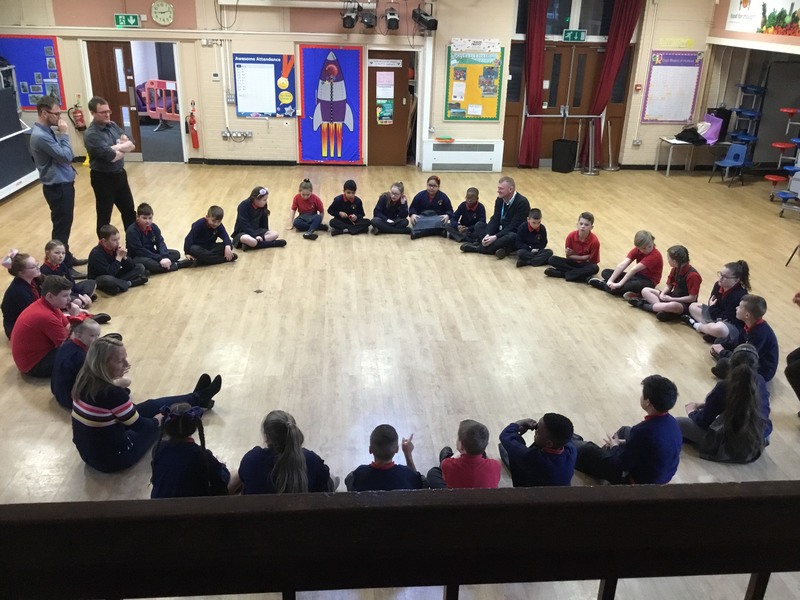 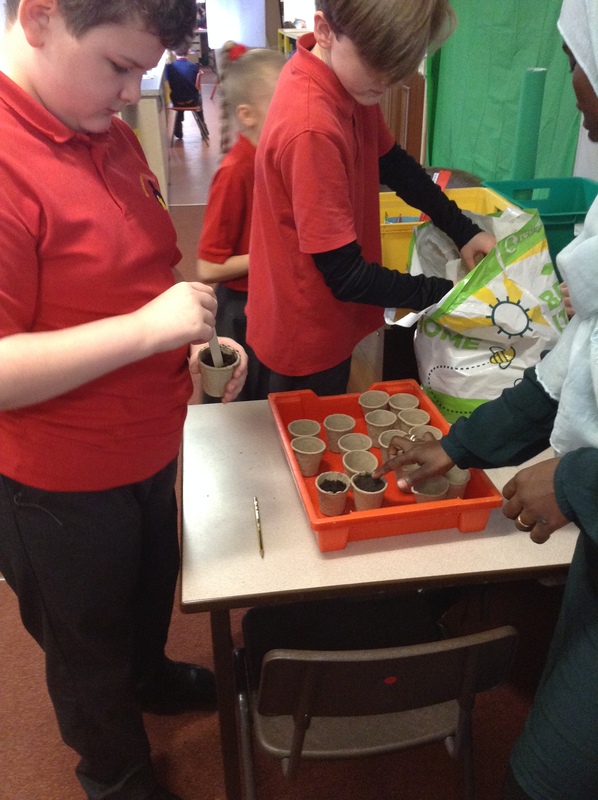 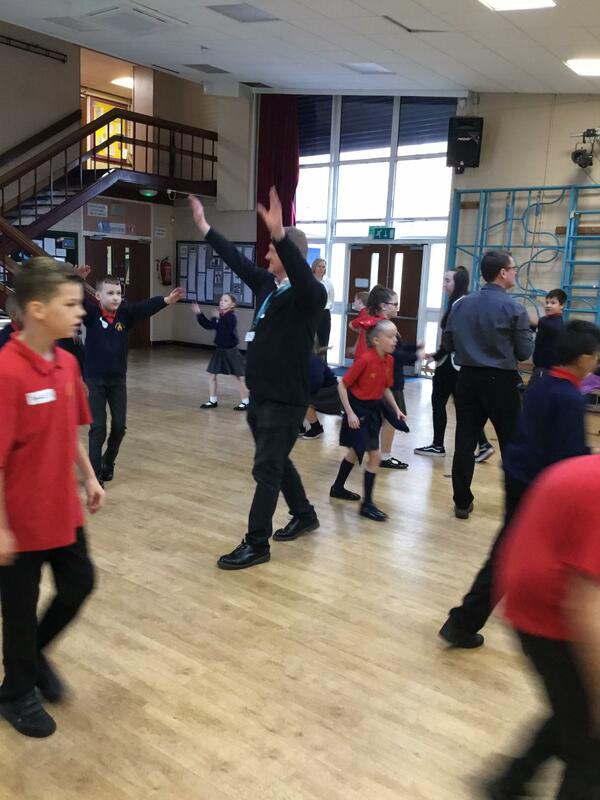 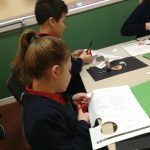 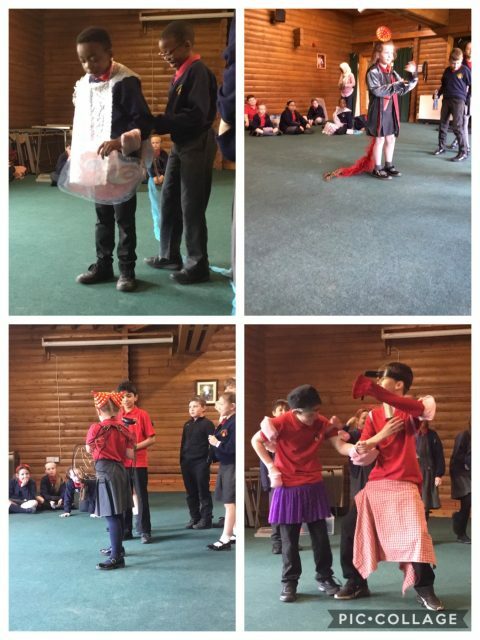 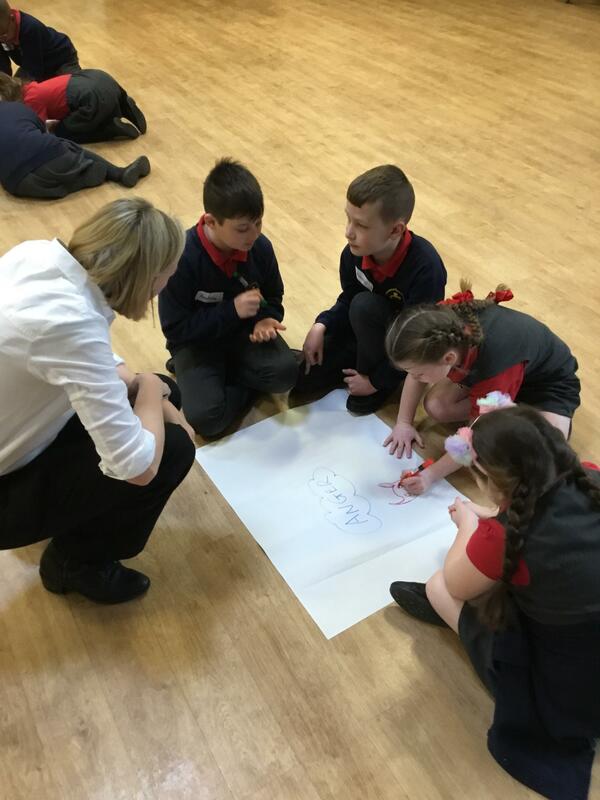 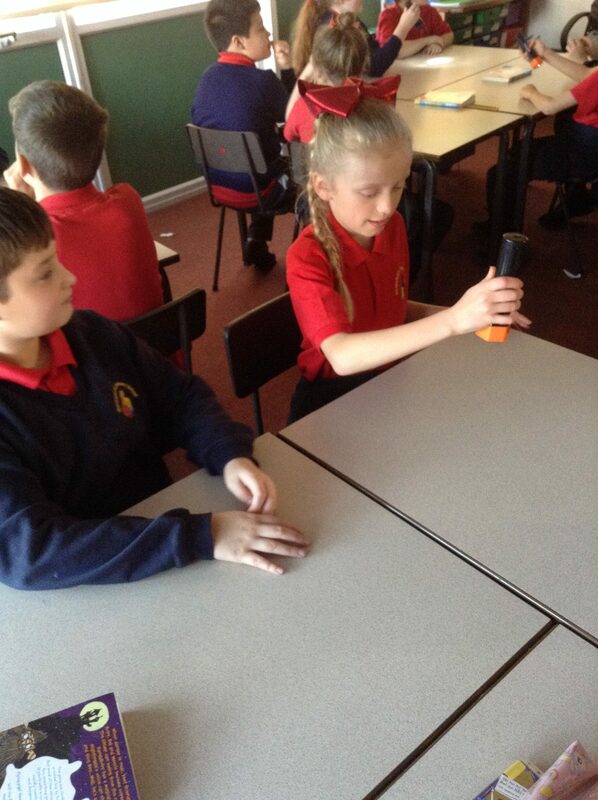 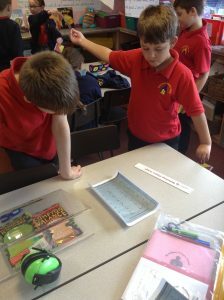 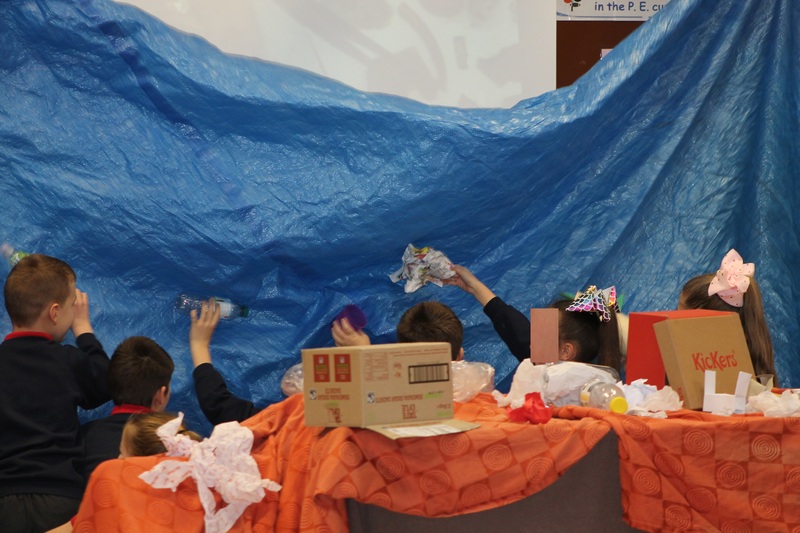 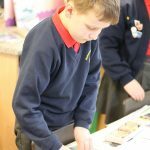 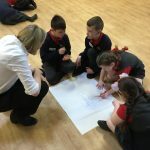 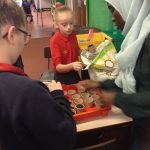 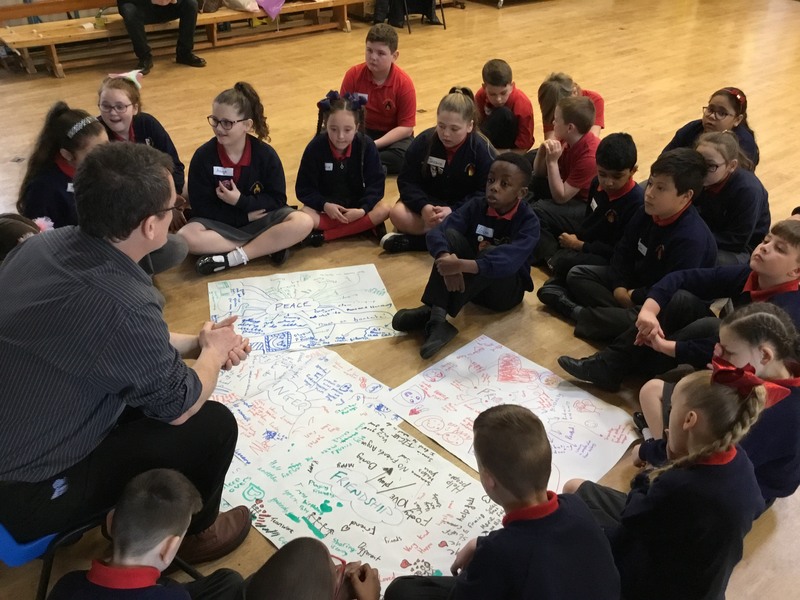 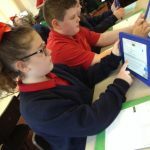 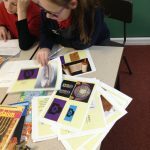 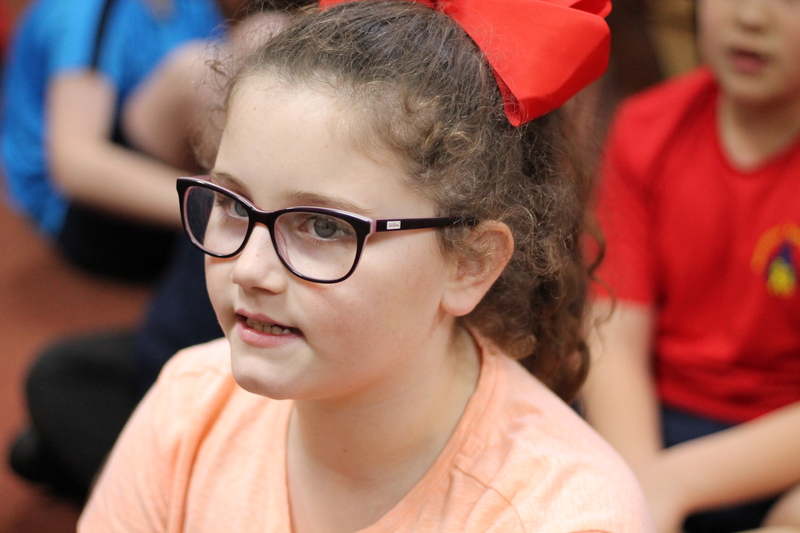 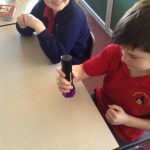 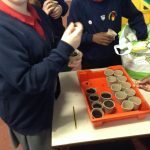 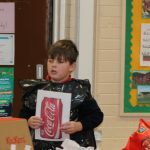 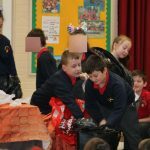 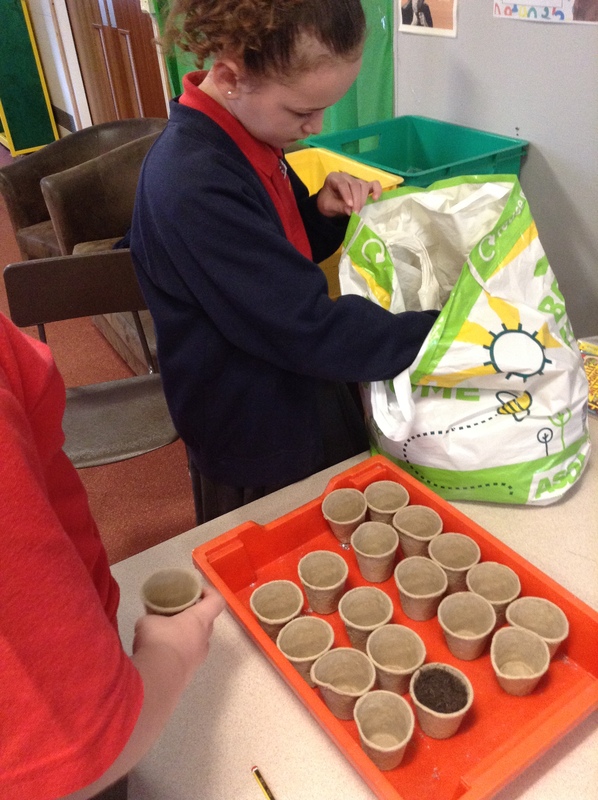 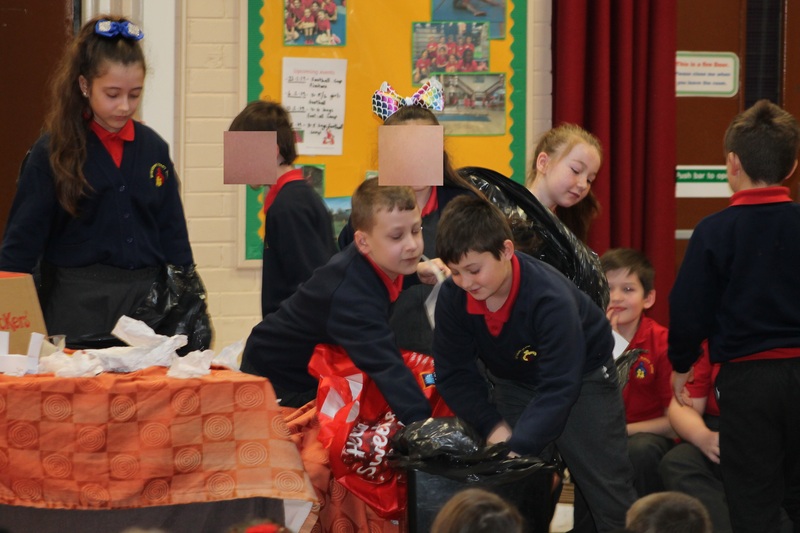 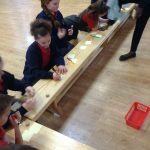 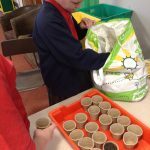 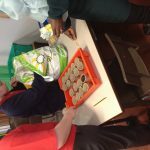 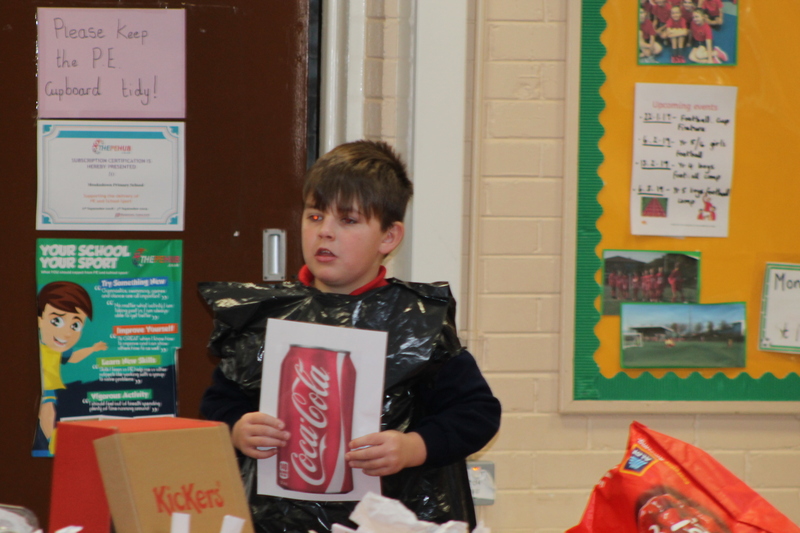 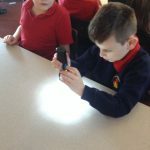 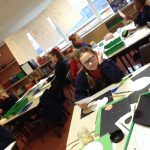 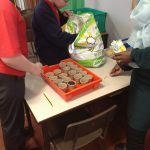 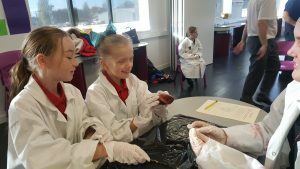 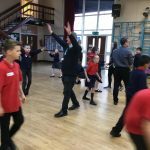 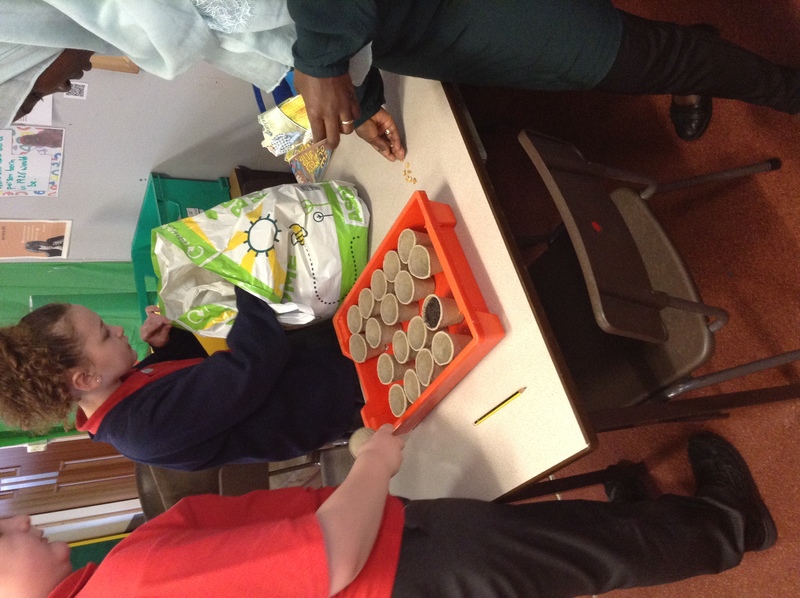 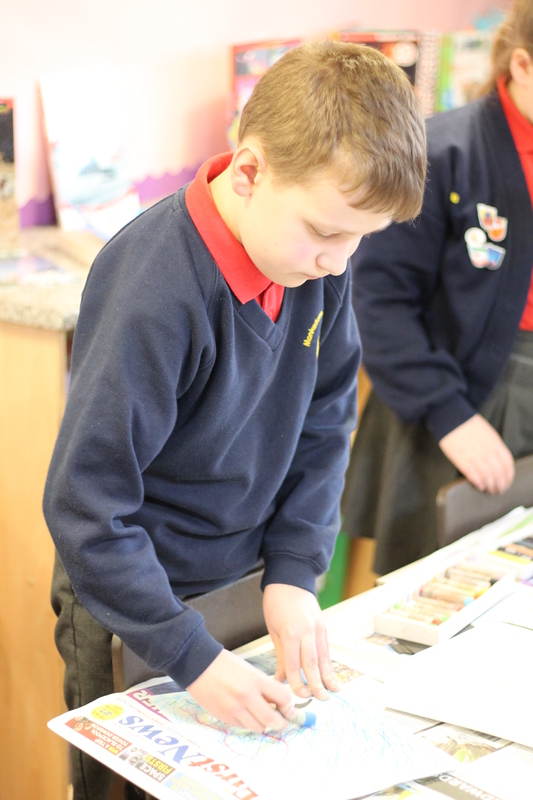 Week of 14/1/19: Earth and Space – Today we had a science morning and completed a variety of different activities. 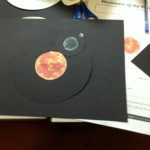 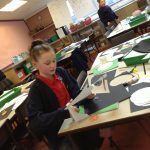 We looked at different times zones, learned about the phases of the moon, researched famous scientists and created a model of the sun, Earth and moon. 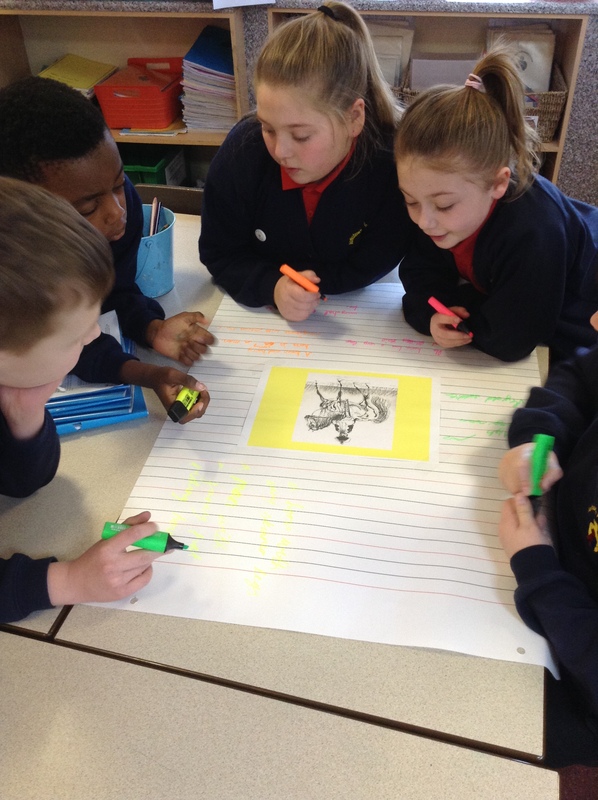 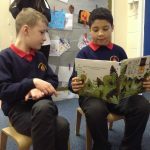 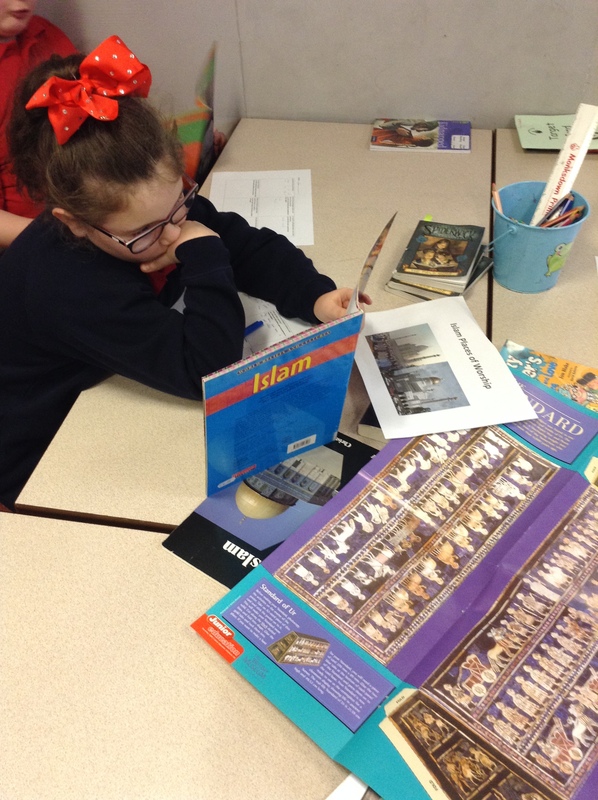 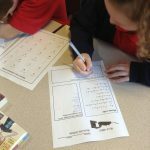 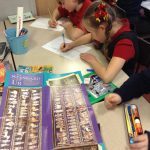 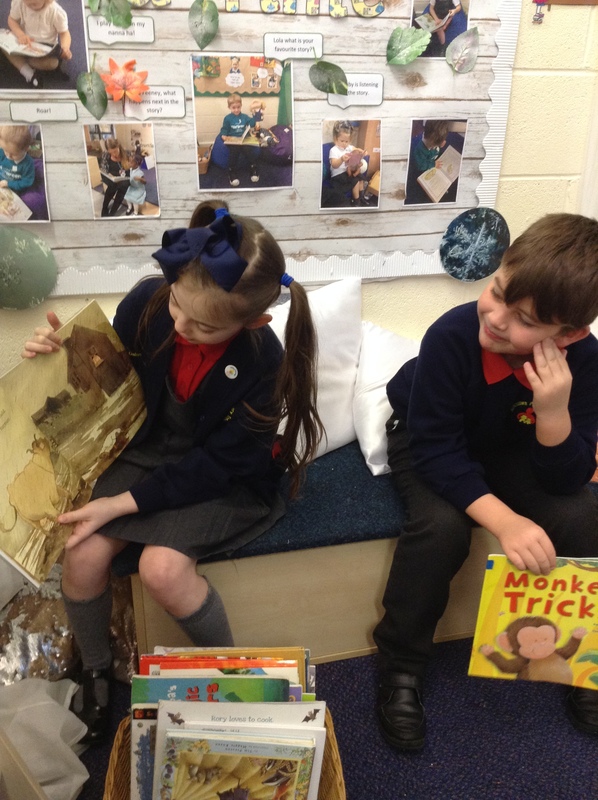 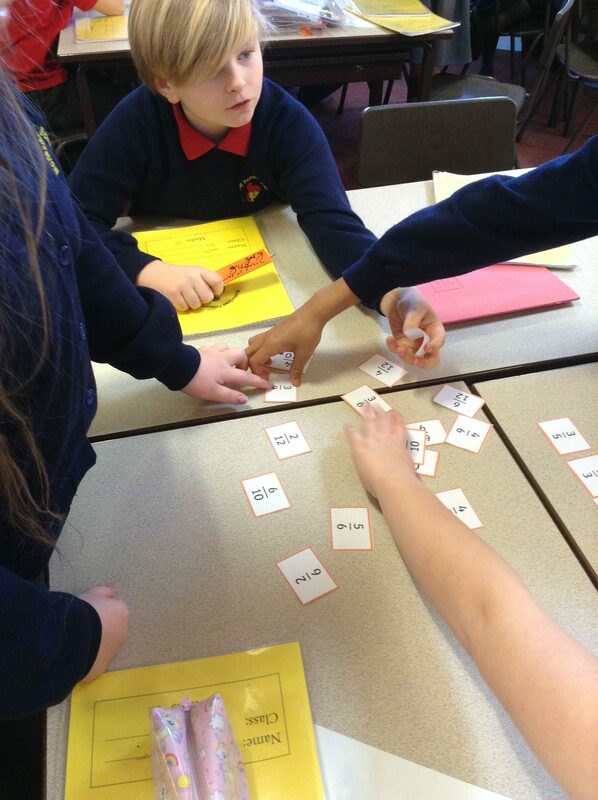 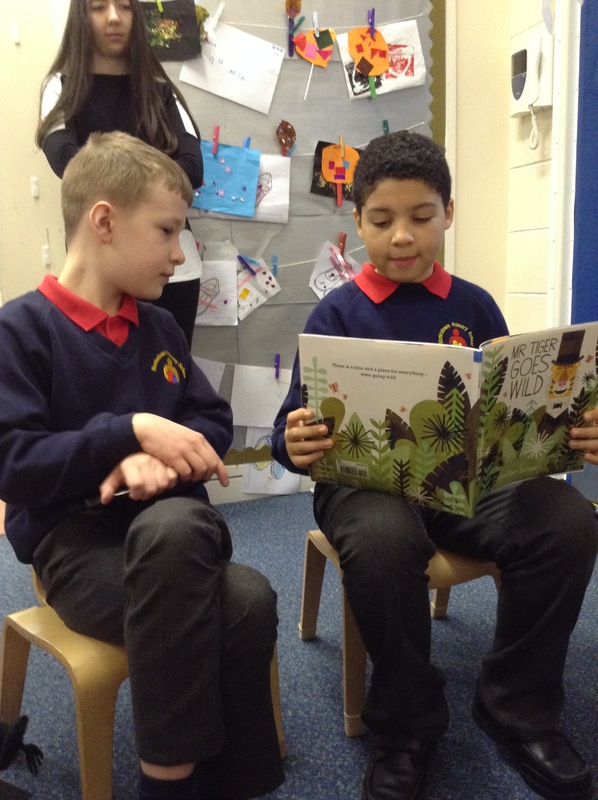 Week of 7/1/19: Learning our new finding tale text: The children worked as a class, then in groups and finally in pairs to learn part of our new text with actions. 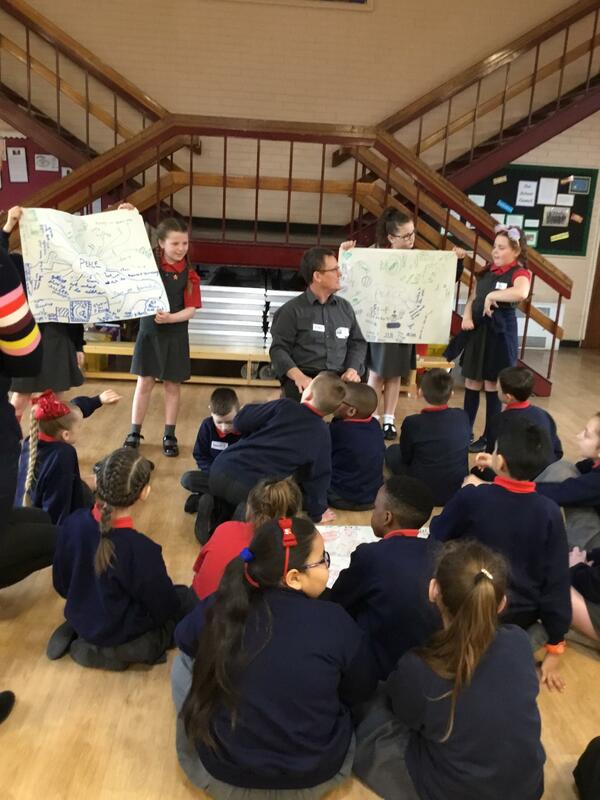 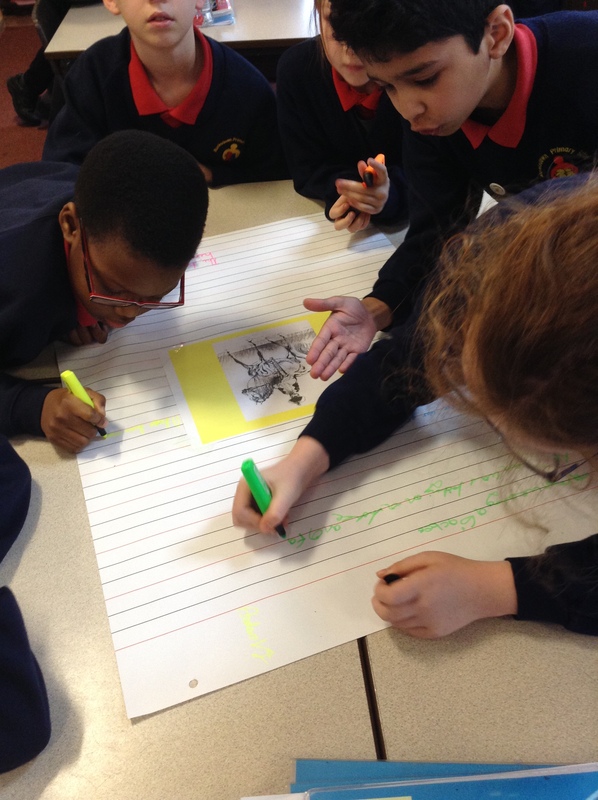 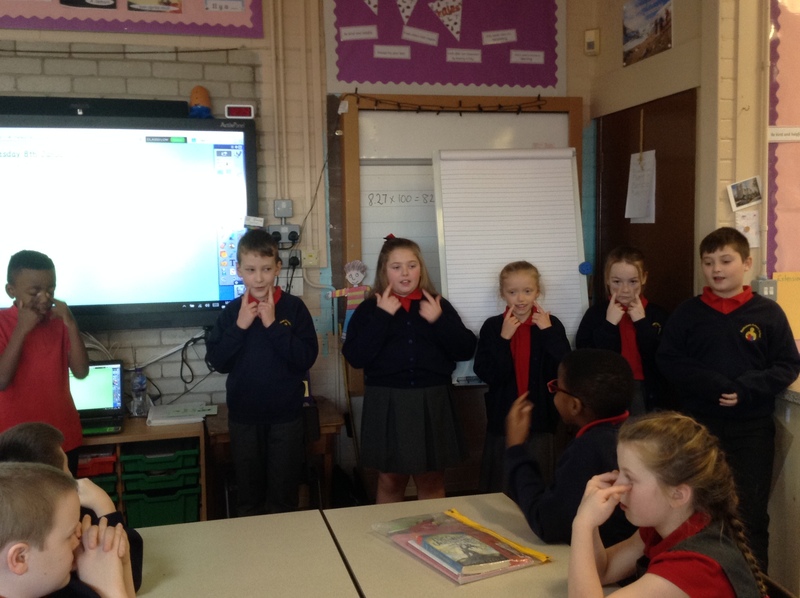 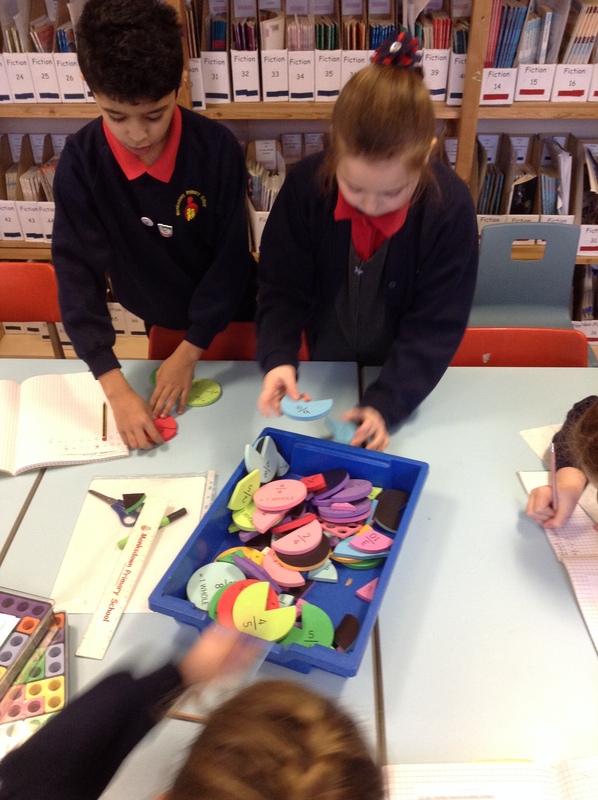 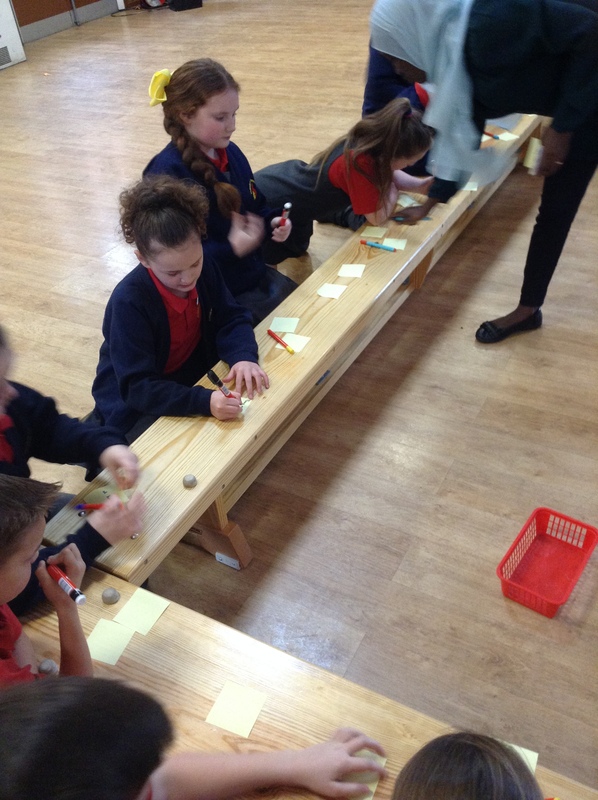 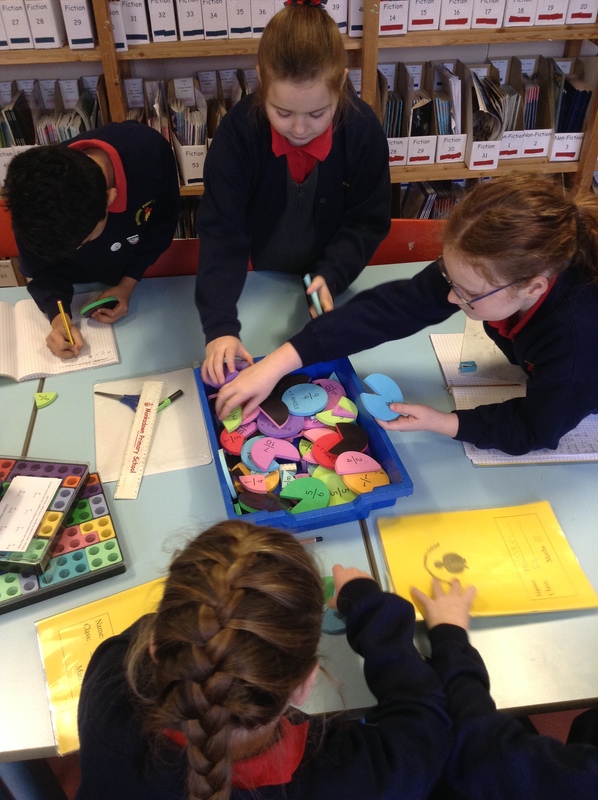 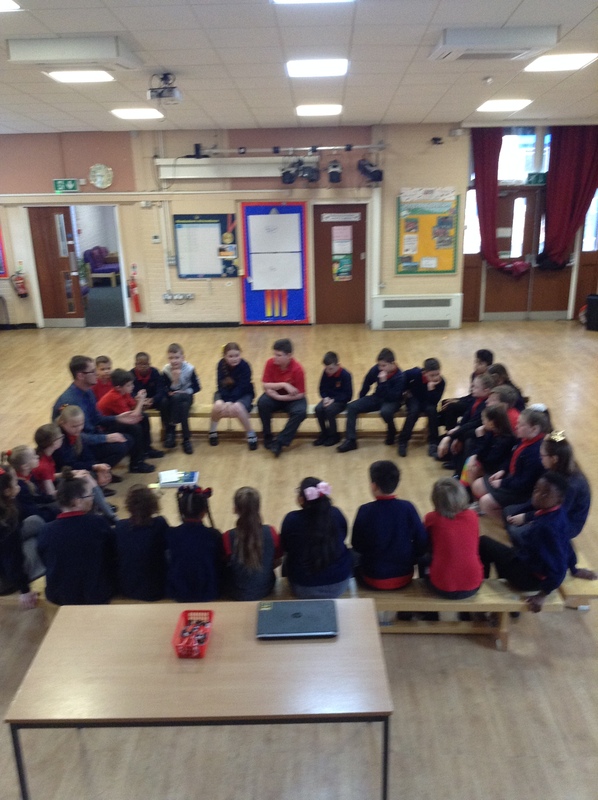 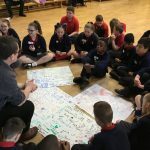 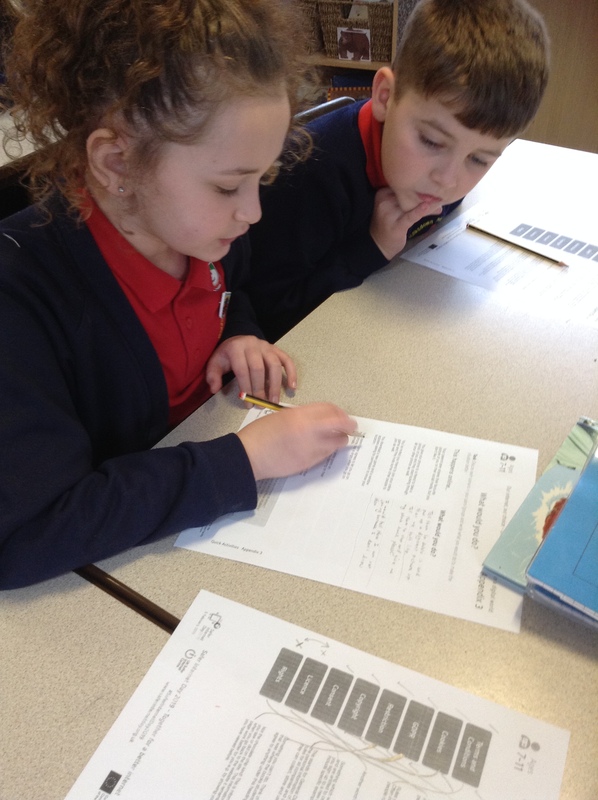 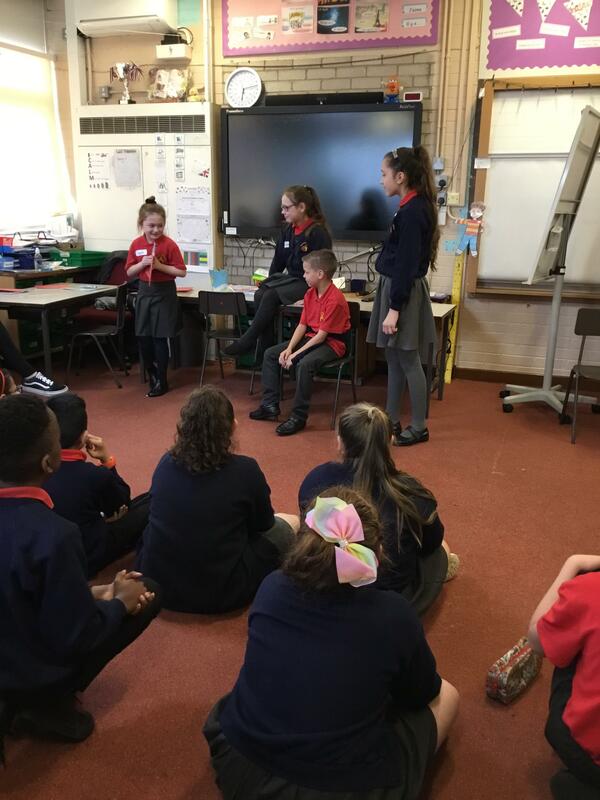 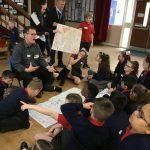 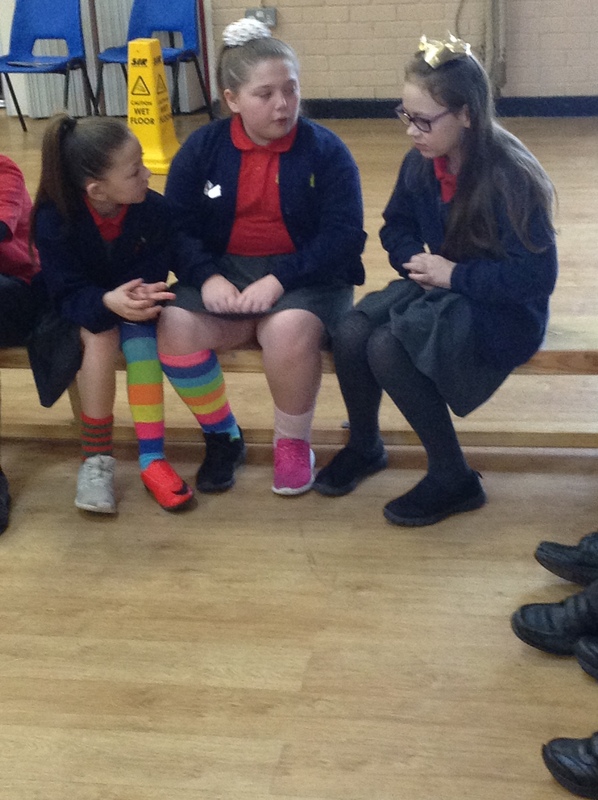 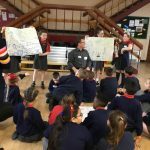 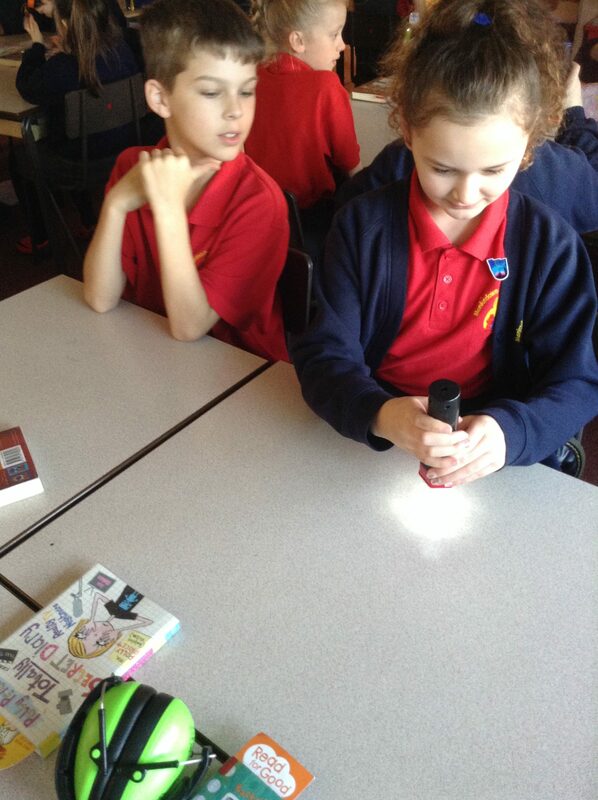 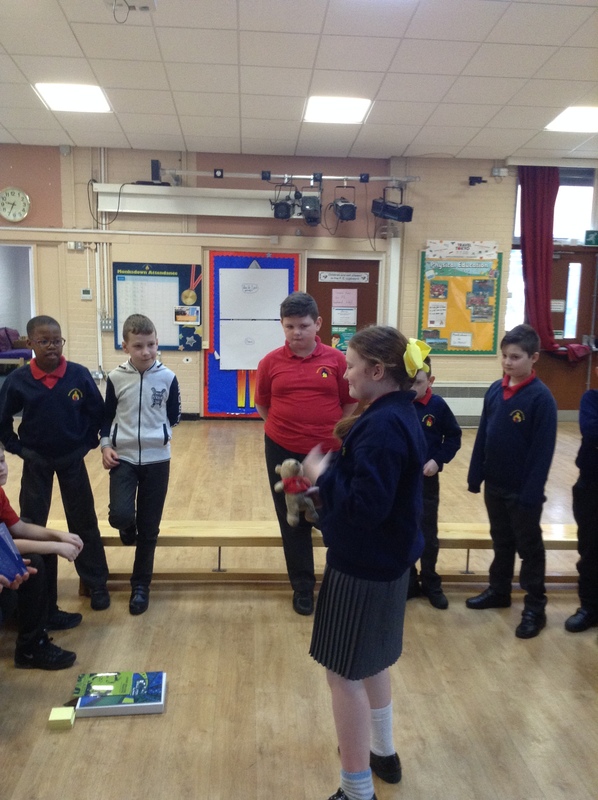 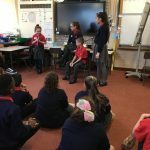 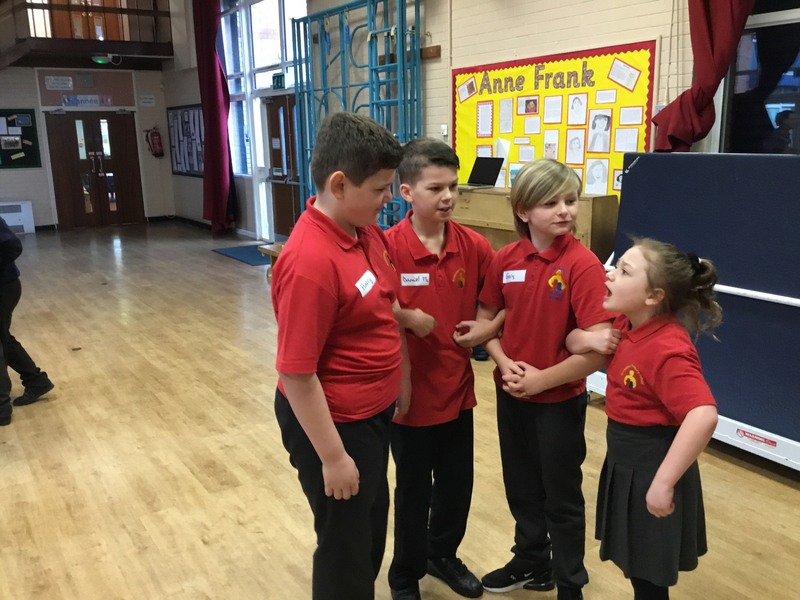 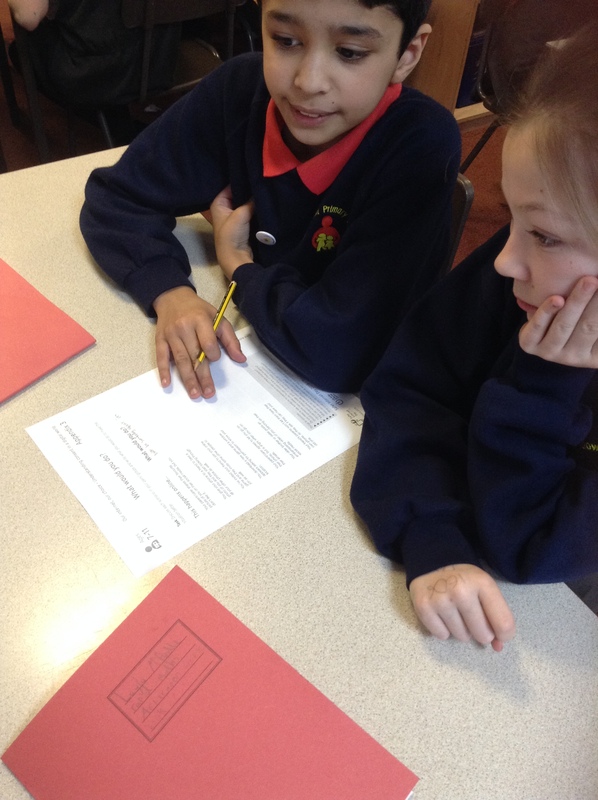 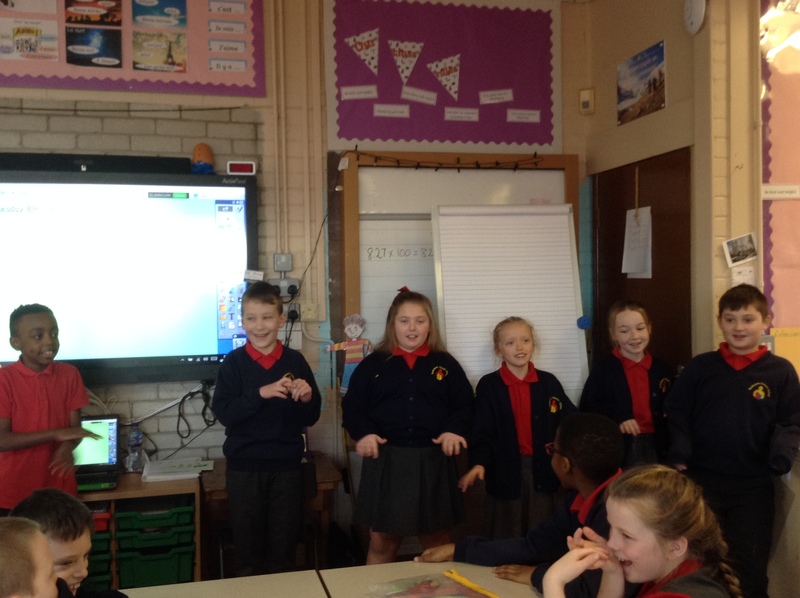 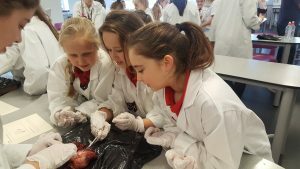 Some of our year 5 science high flyers visited St. John Bosco to study the heart and circulatory system. 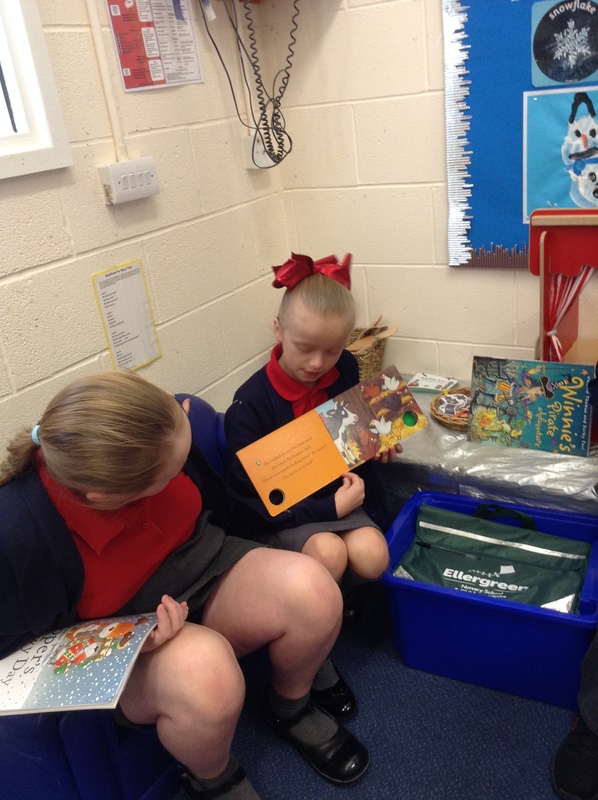 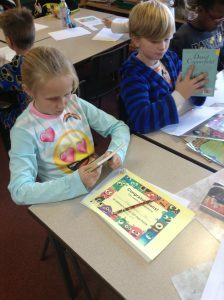 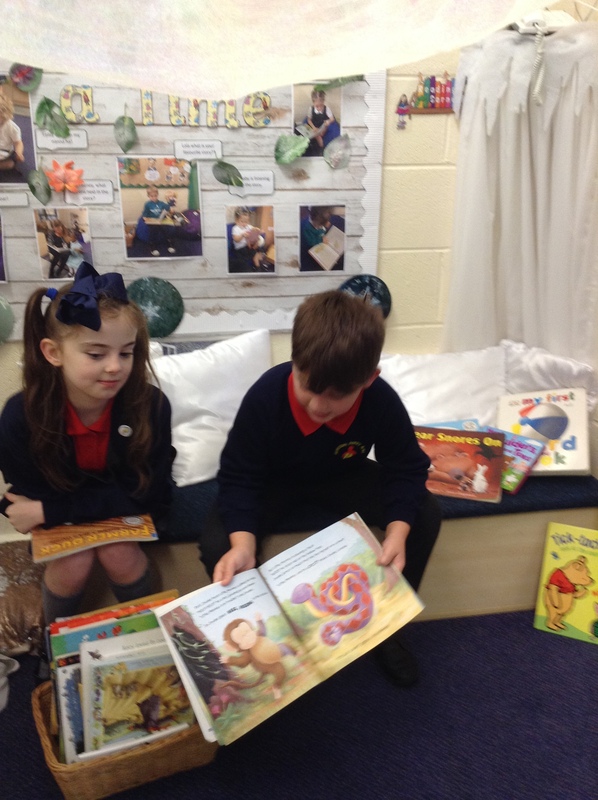 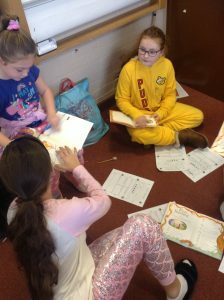 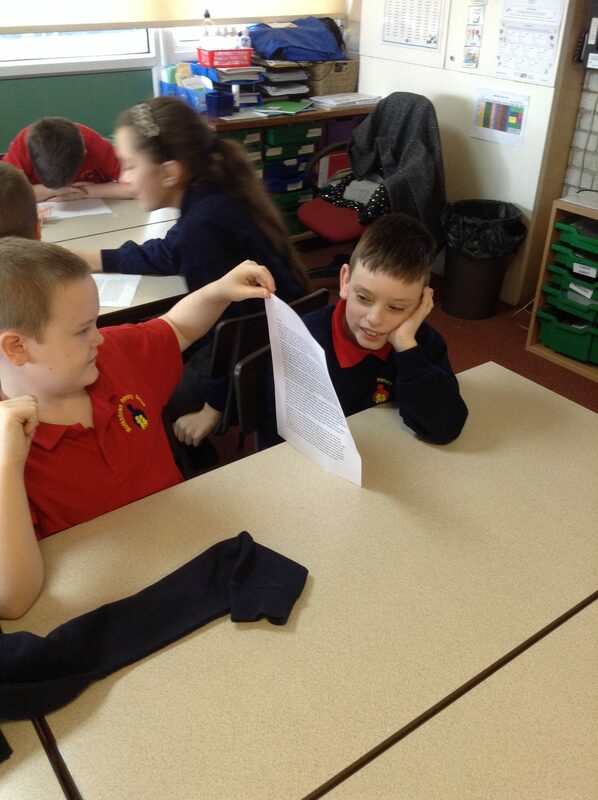 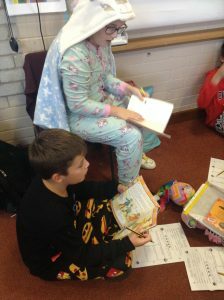 Working in our pyjamas on Readathon day. 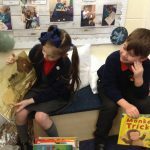 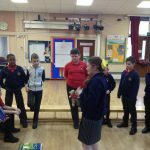 We made sculptures based on the giants that visited Liverpool. 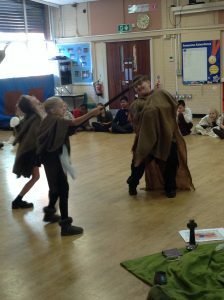 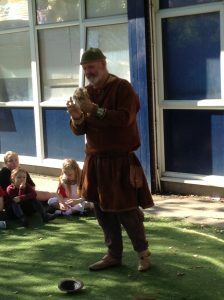 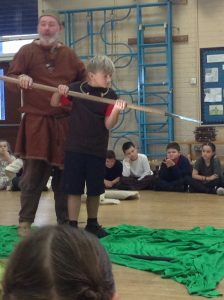 Learning about the Vikings from our visitors on Viking day. 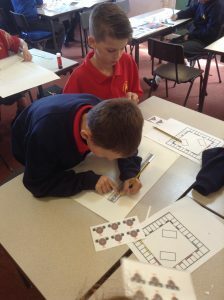 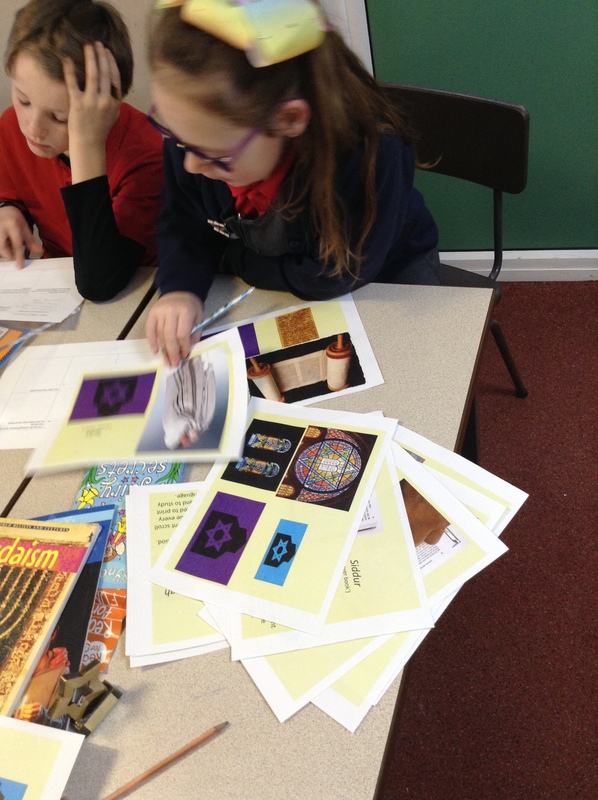 We also made Viking board games. 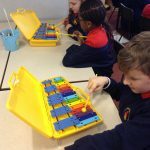 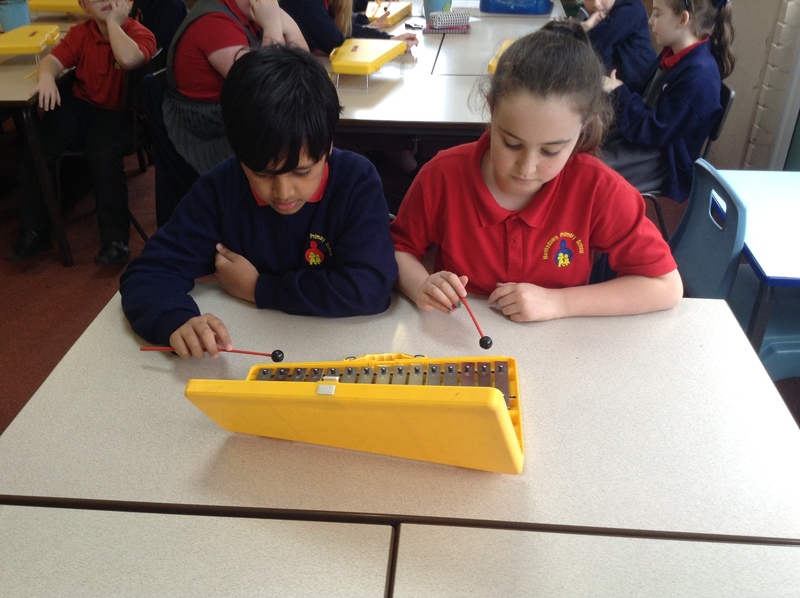 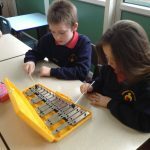 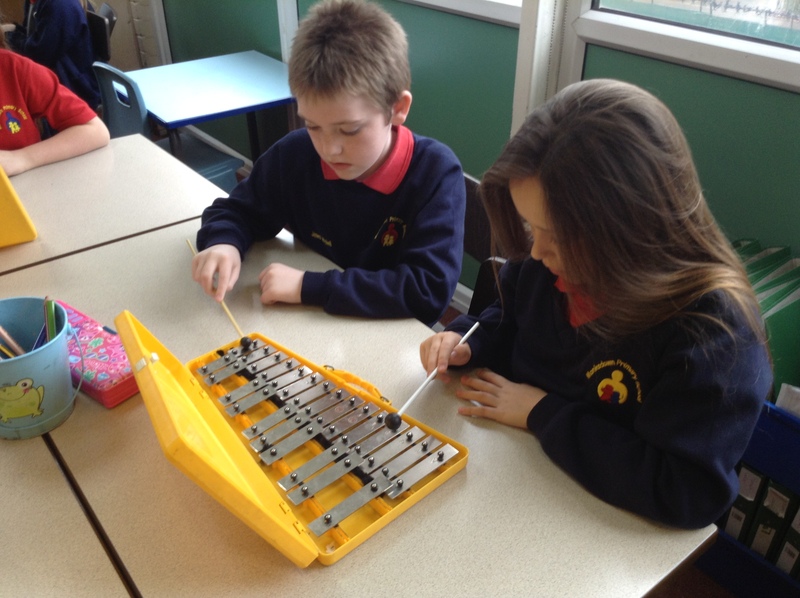 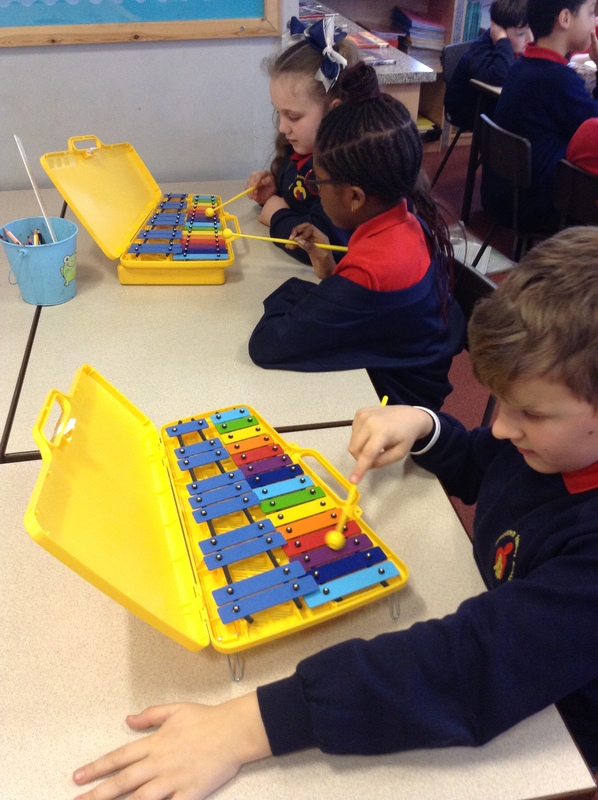 Enjoying playing the ukulele, keyboard and xylophone in our music lesson. 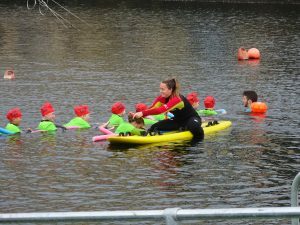 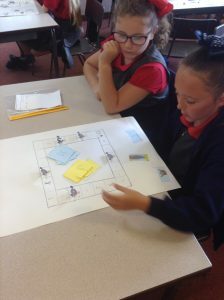 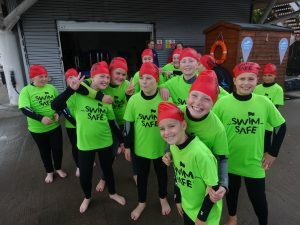 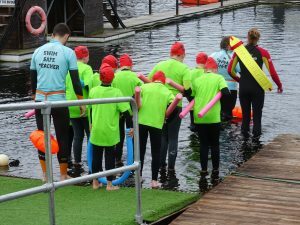 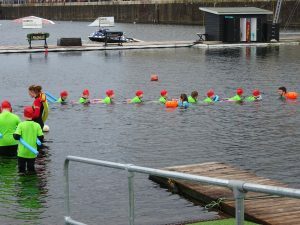 Some of the children in year 5 did Swim Safe training down at the Albert Dock.